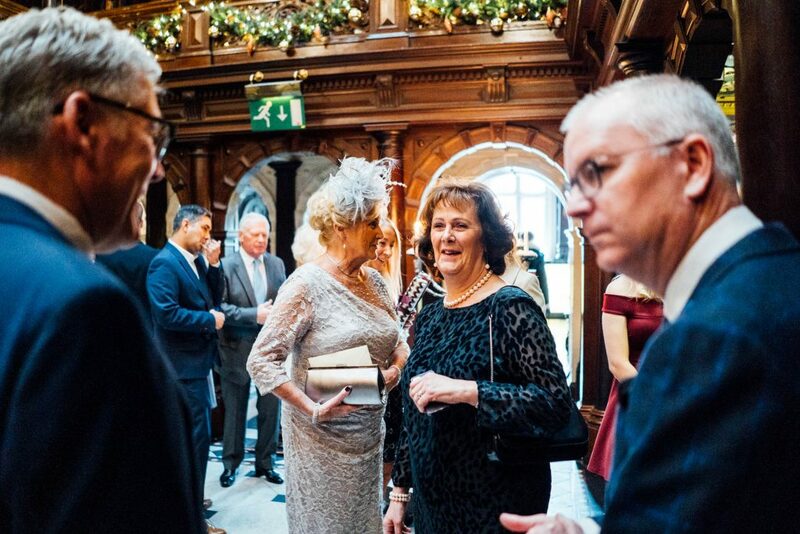 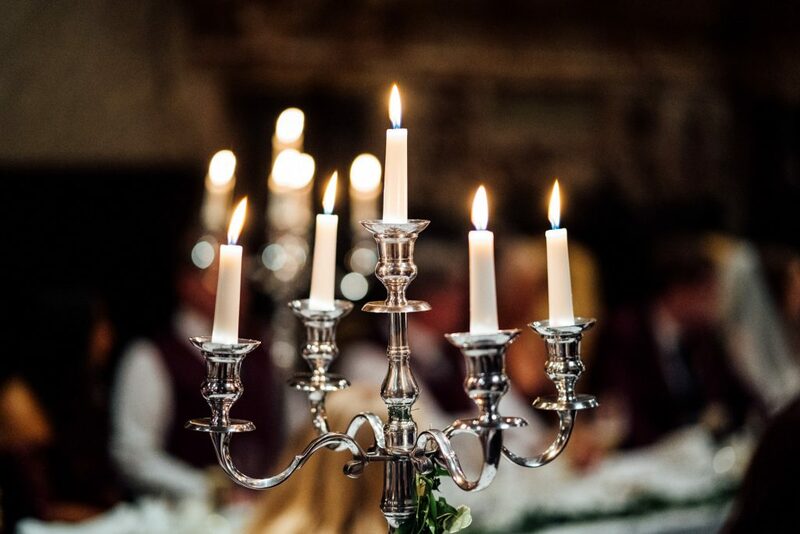 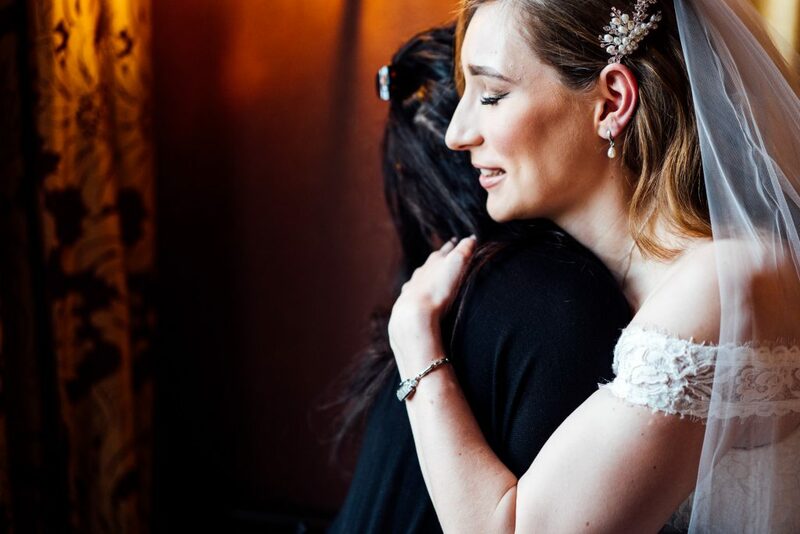 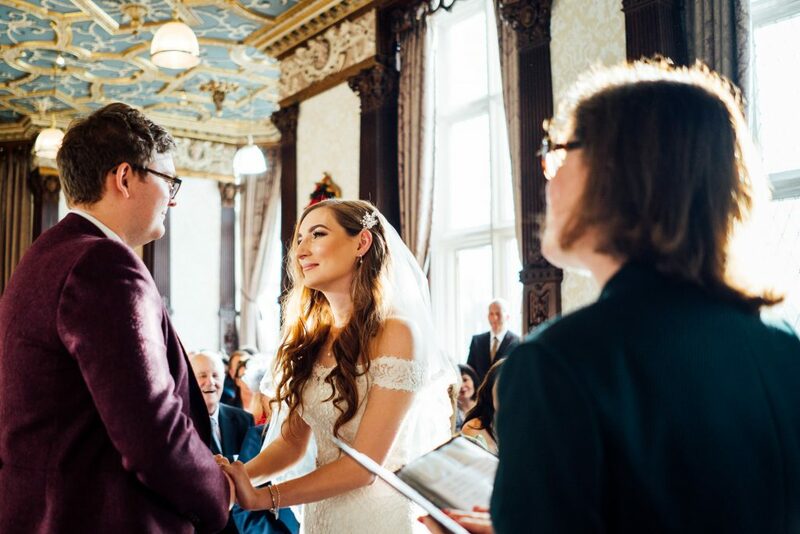 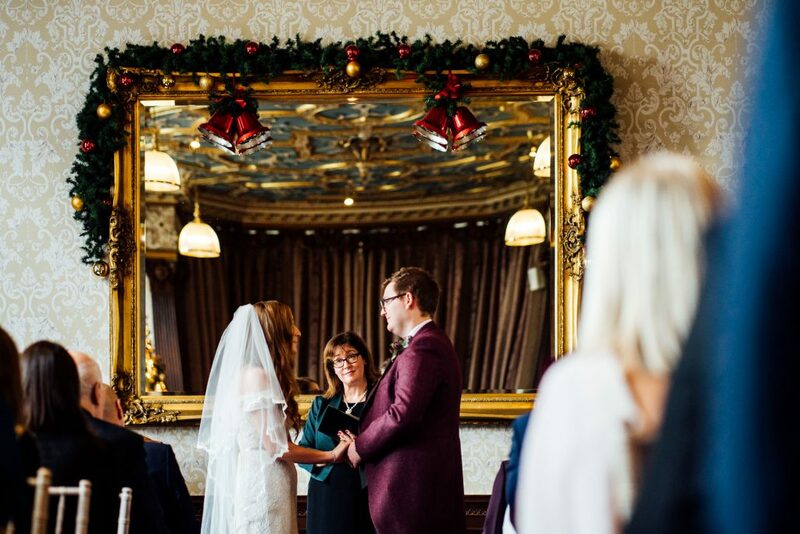 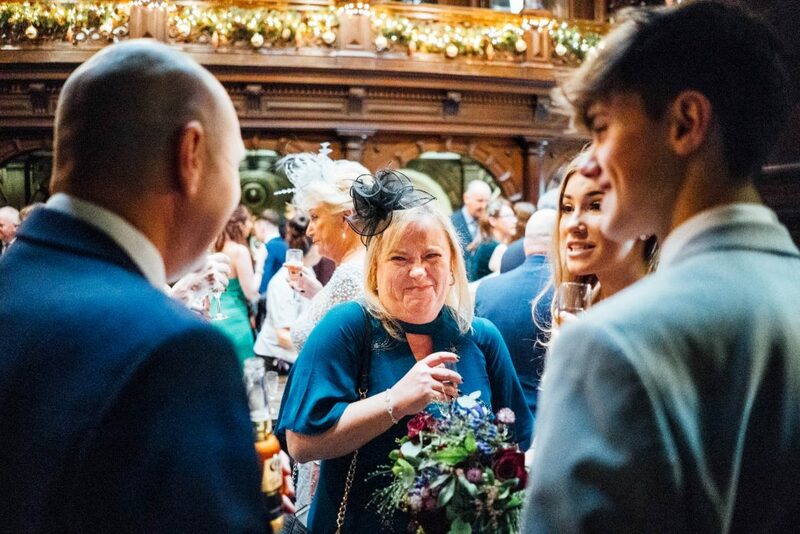 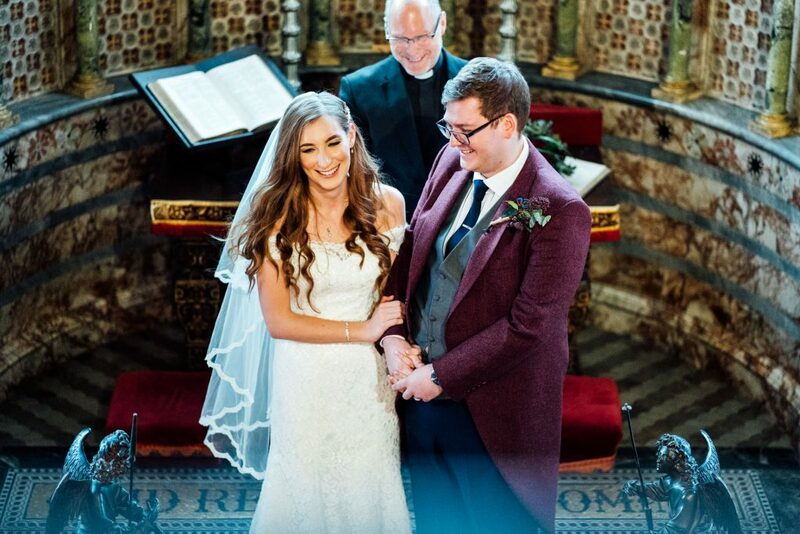 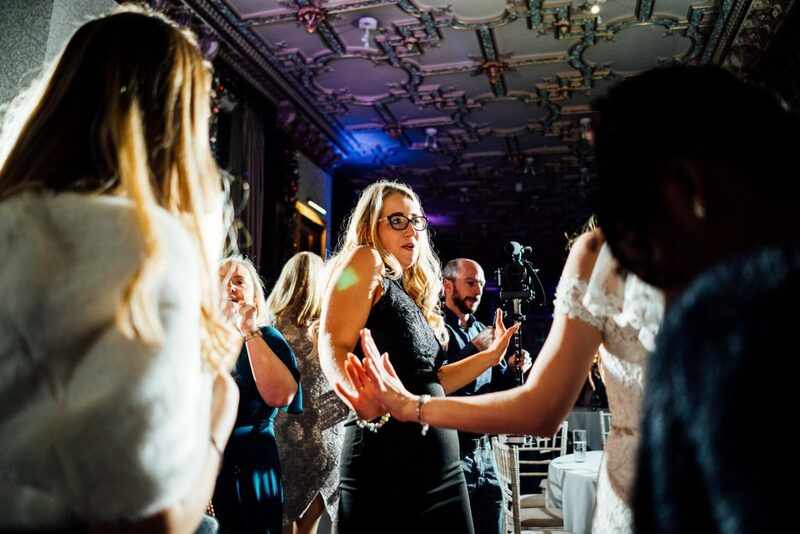 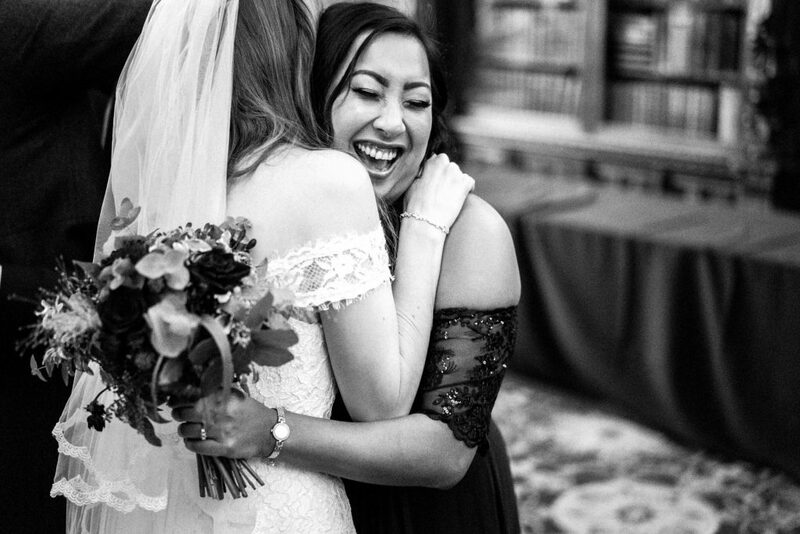 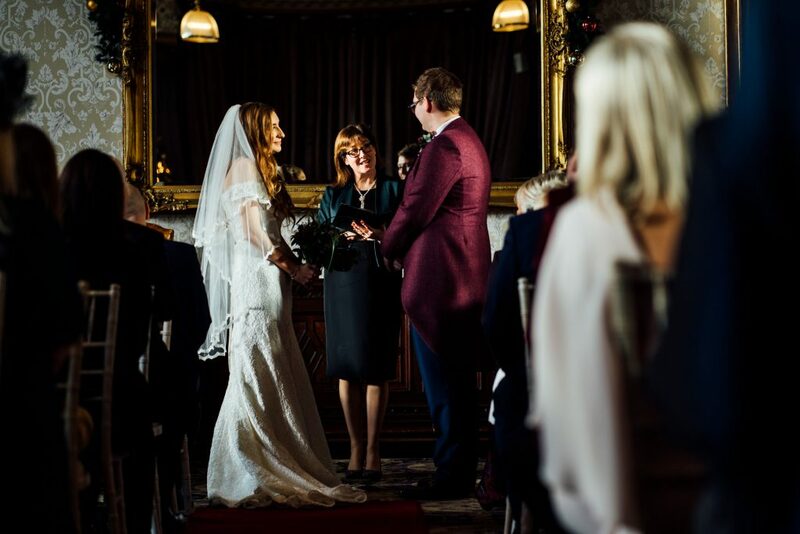 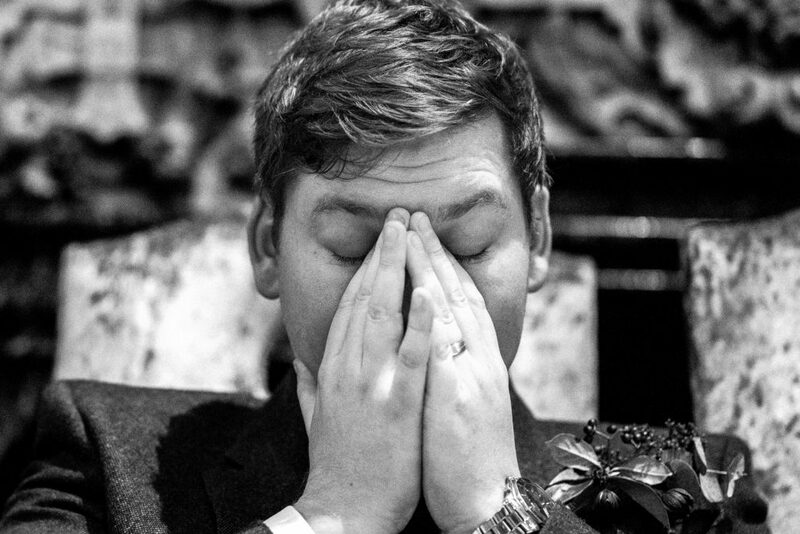 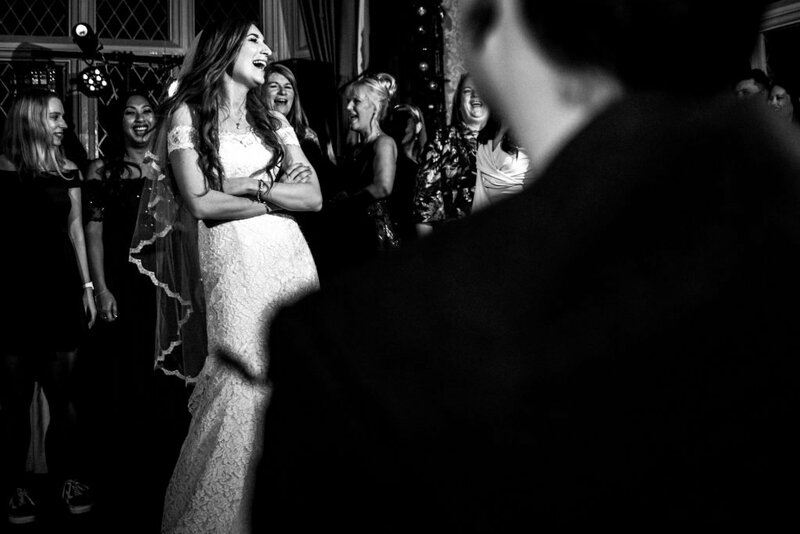 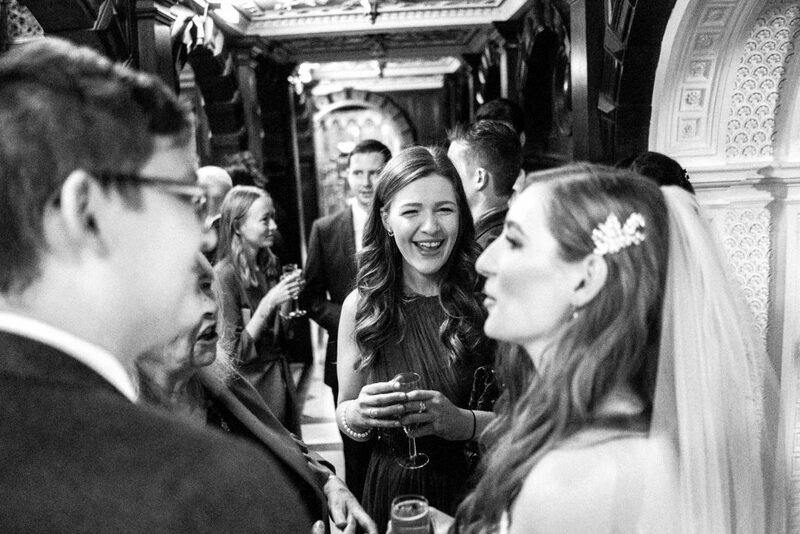 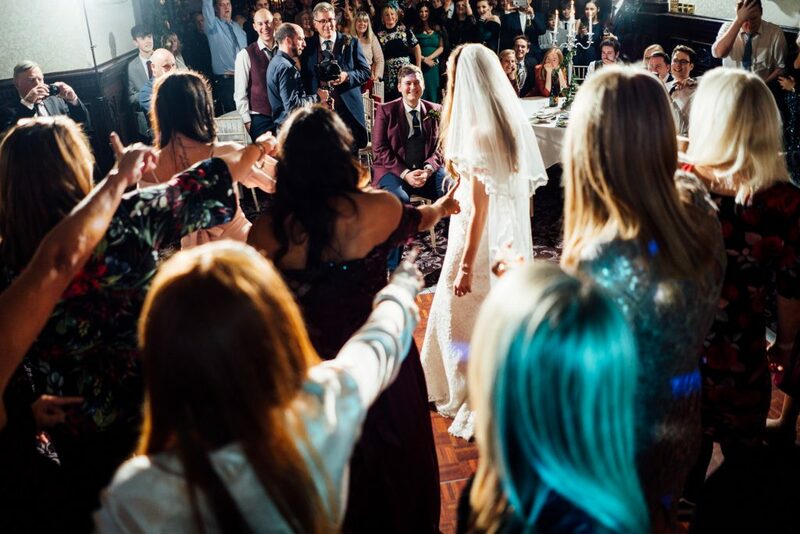 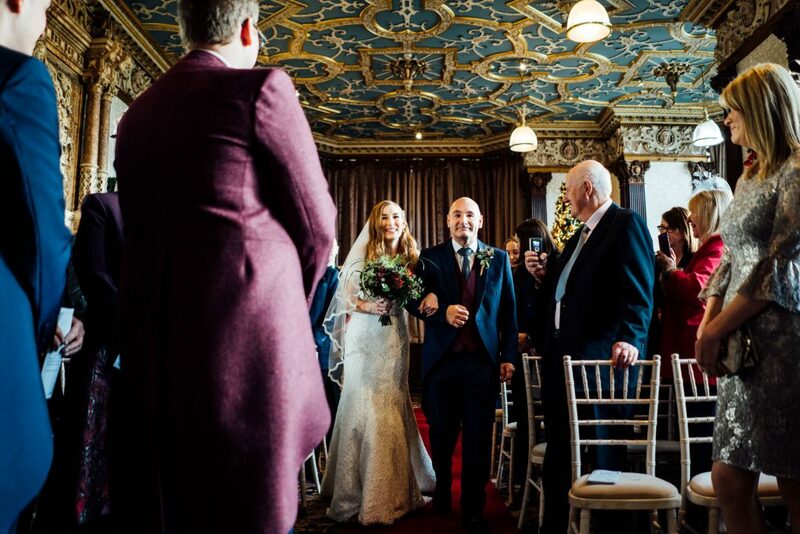 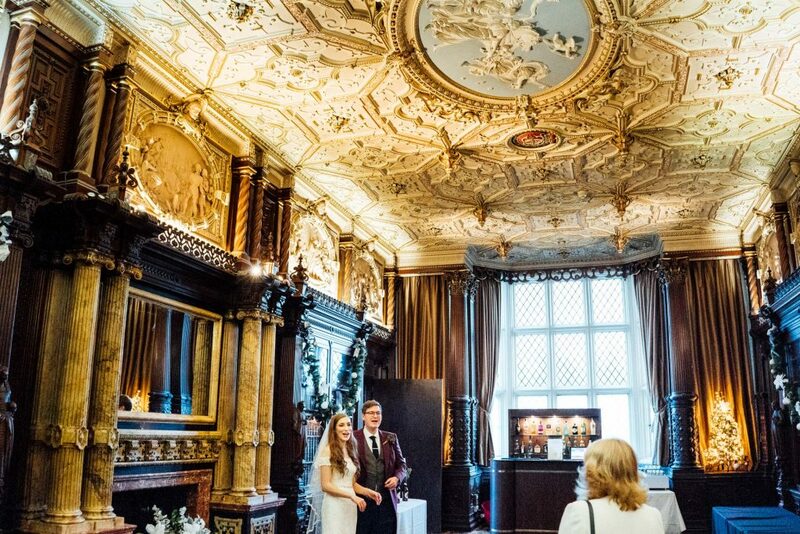 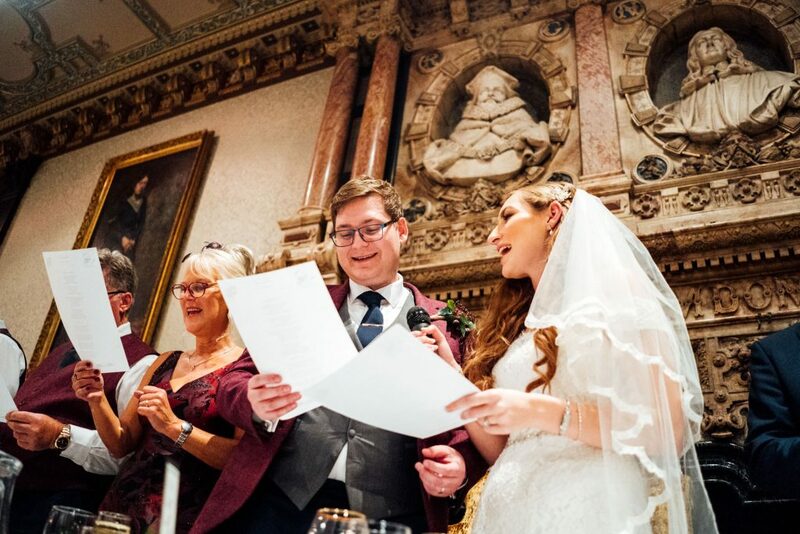 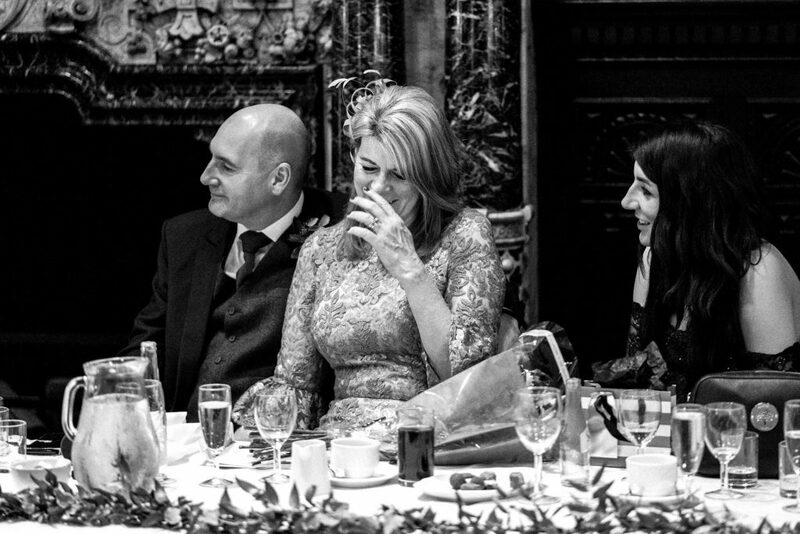 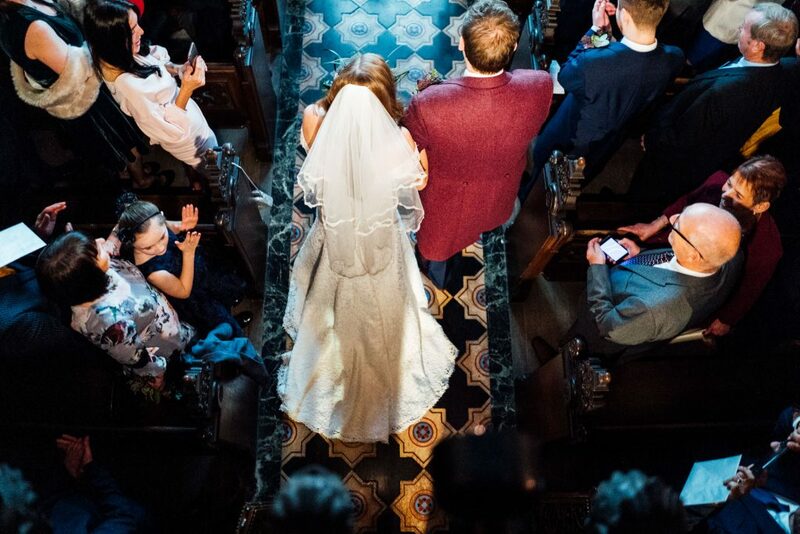 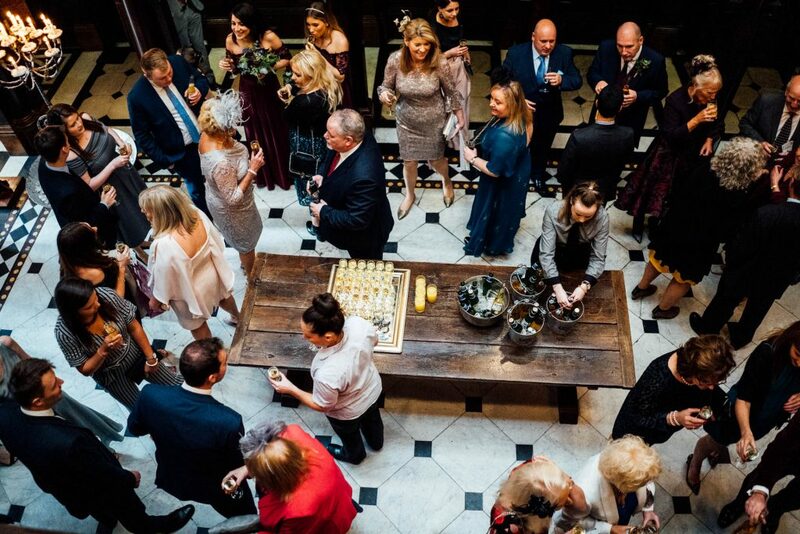 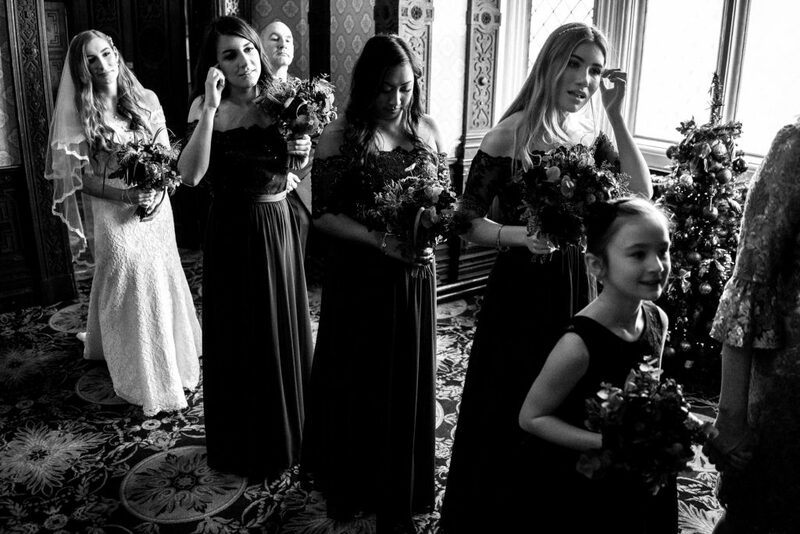 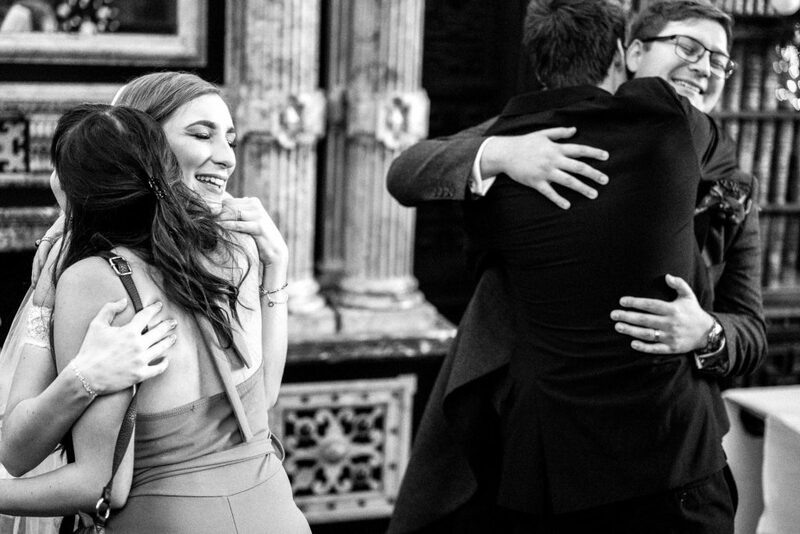 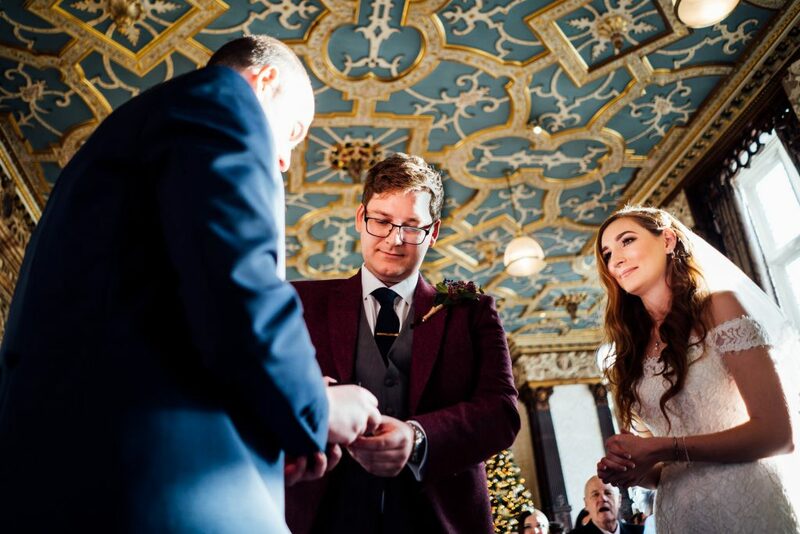 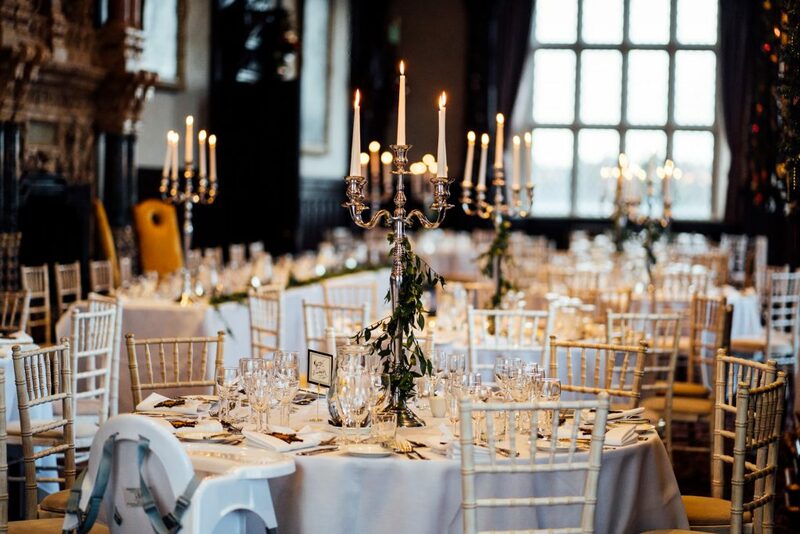 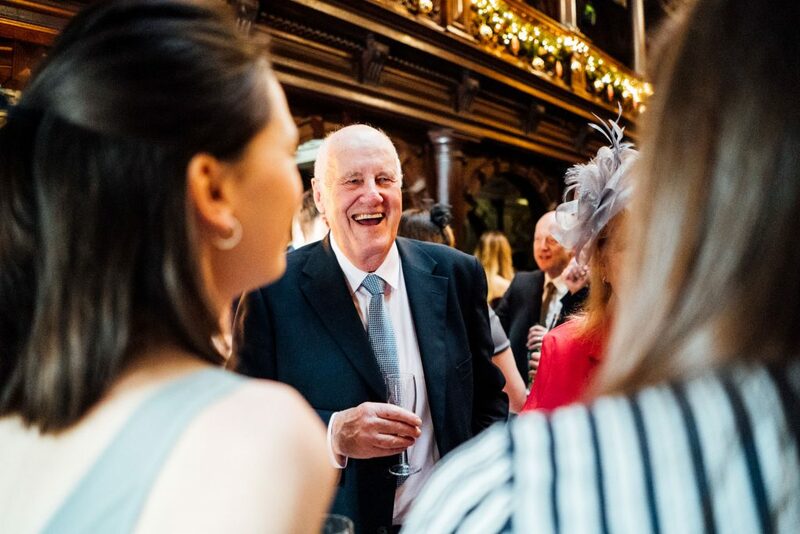 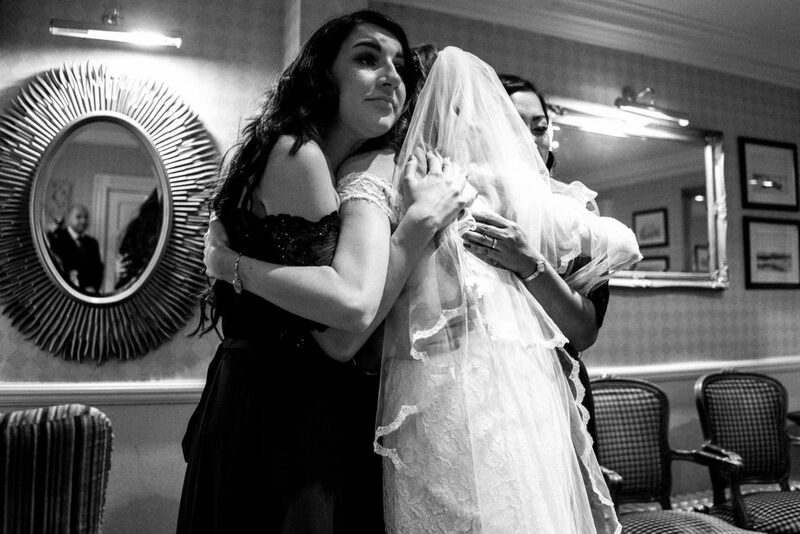 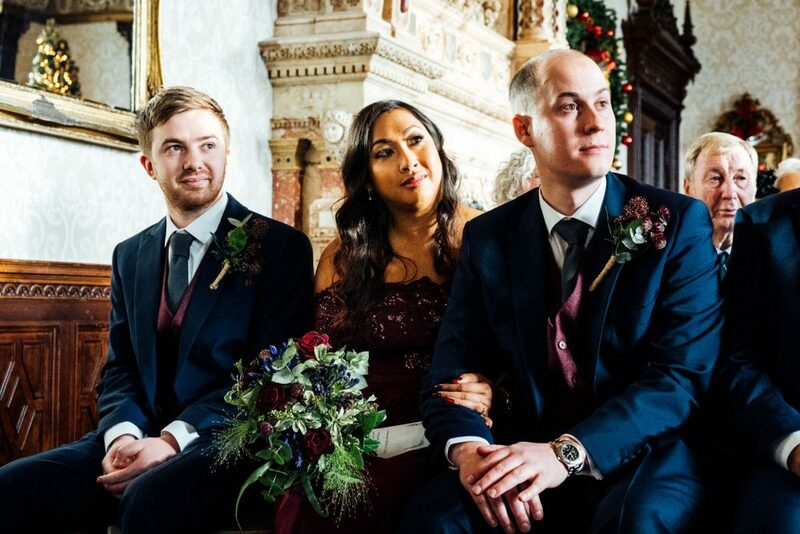 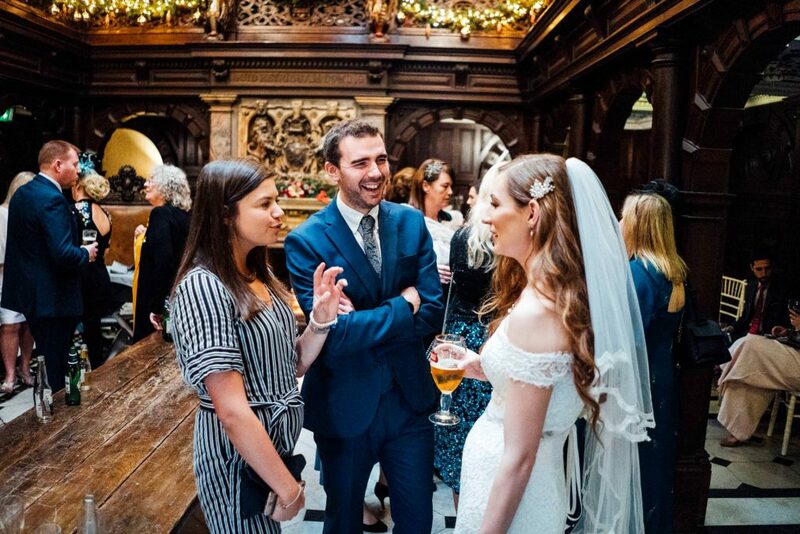 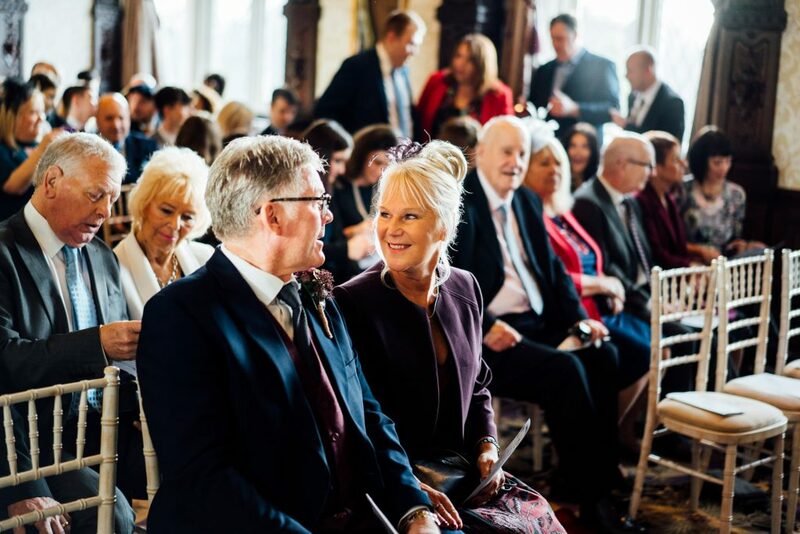 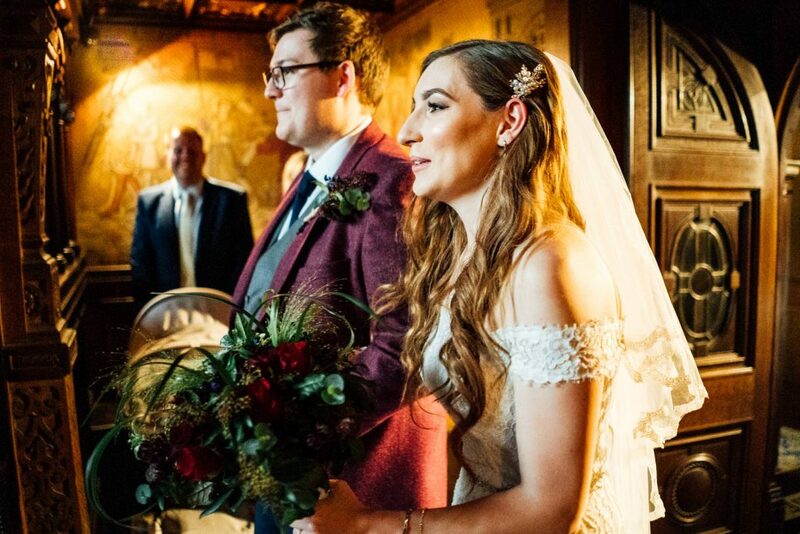 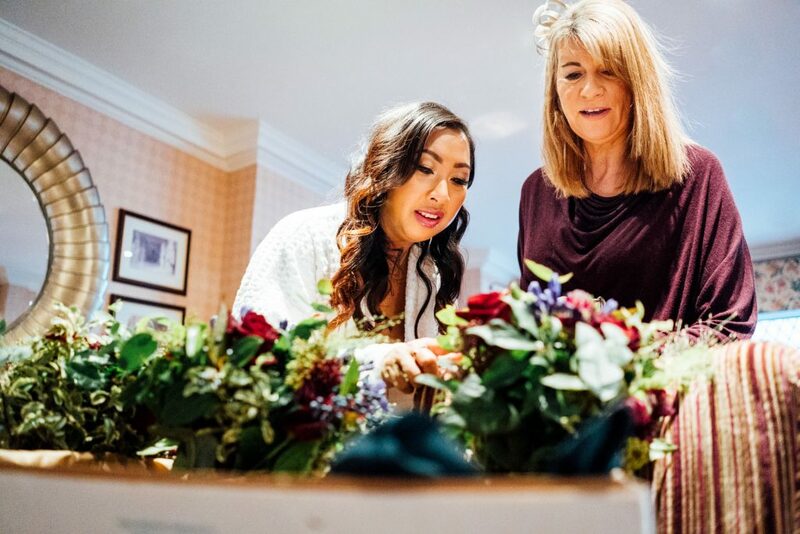 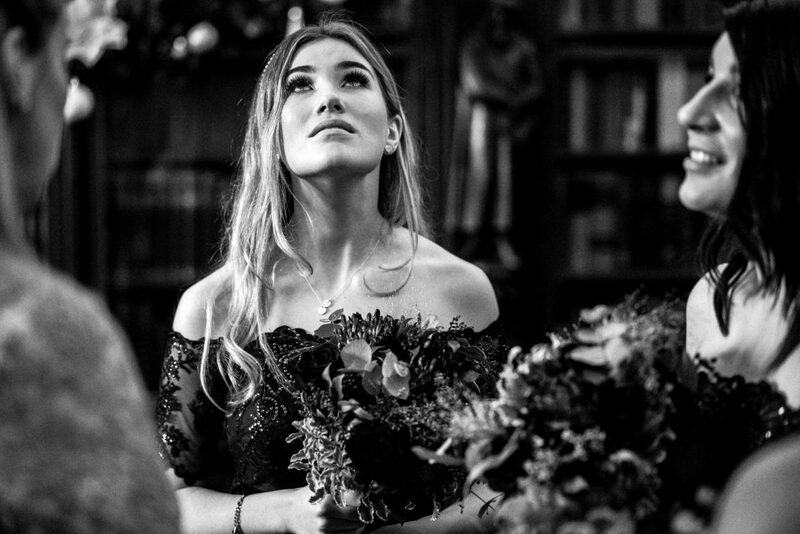 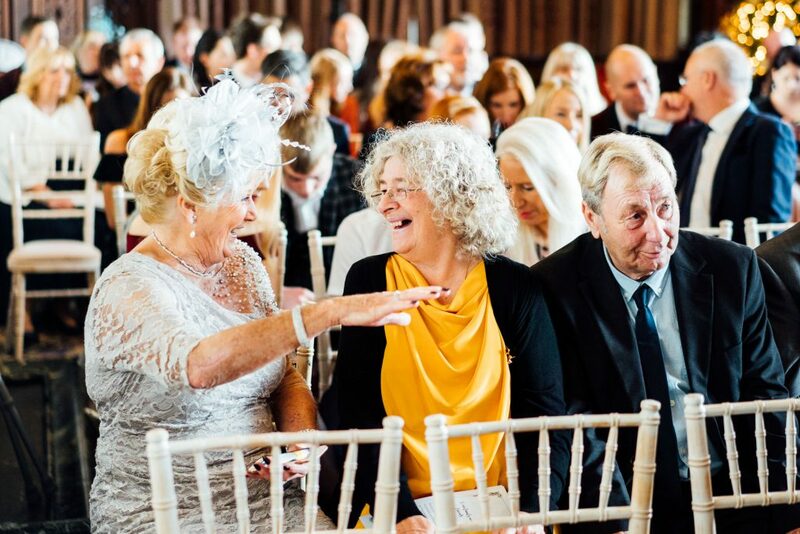 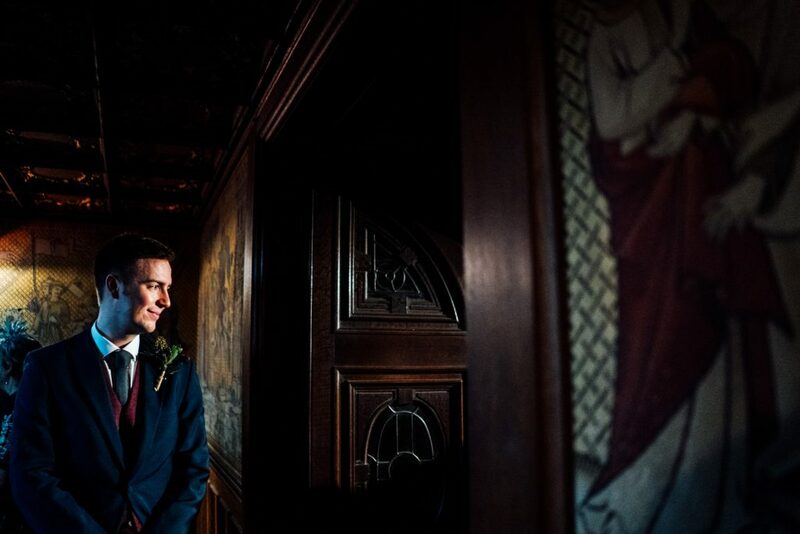 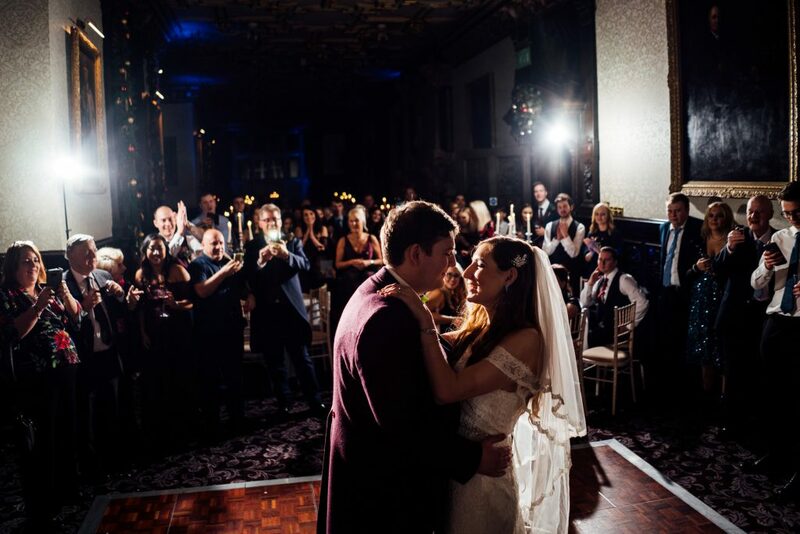 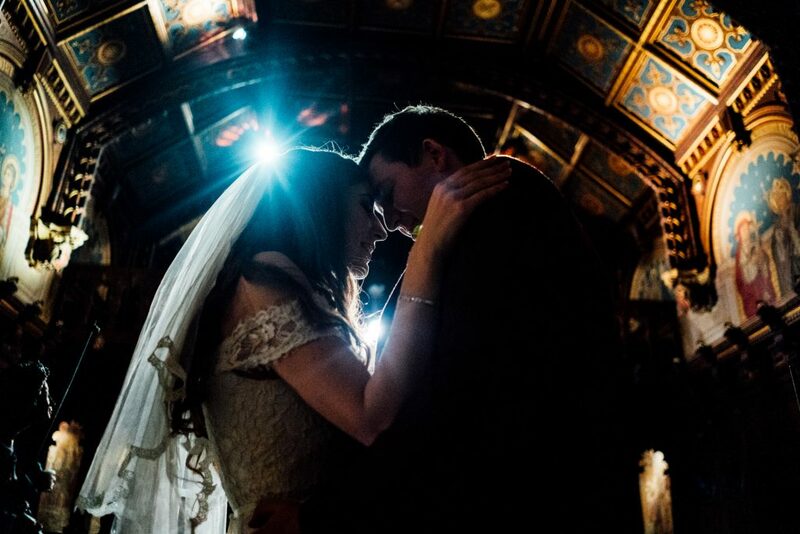 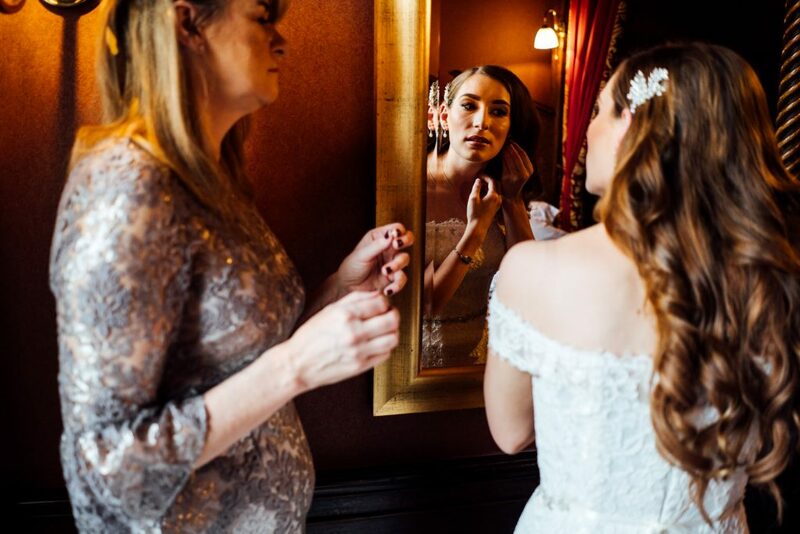 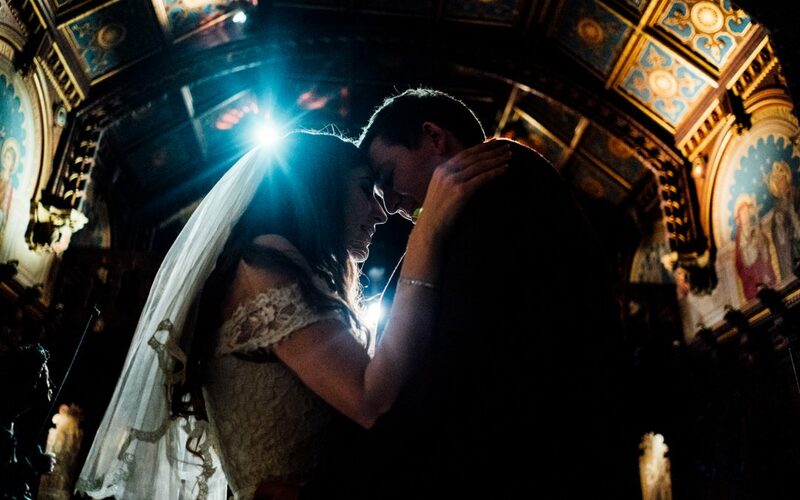 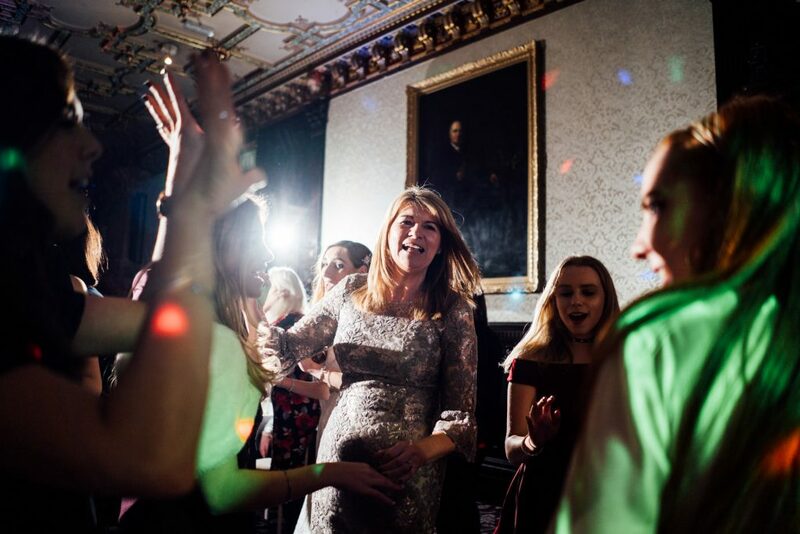 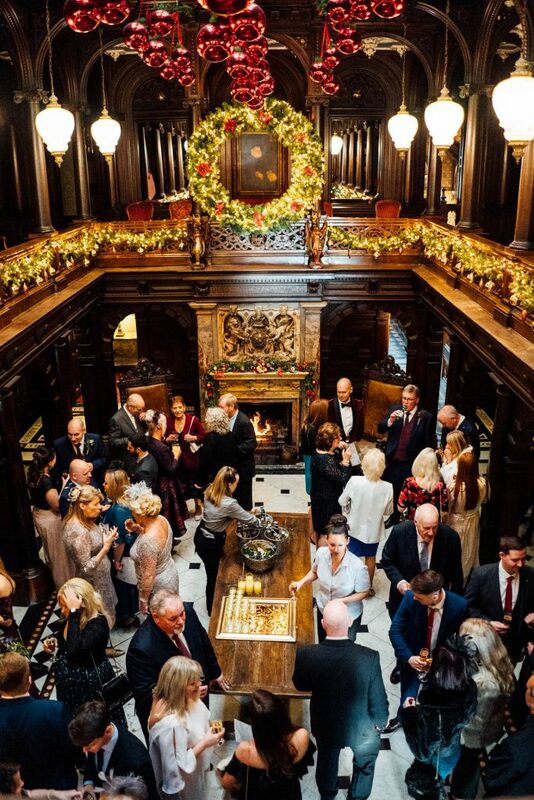 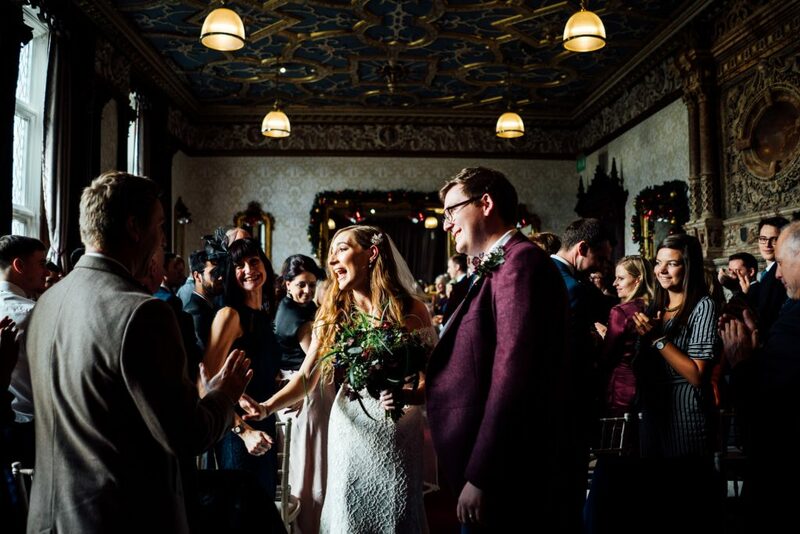 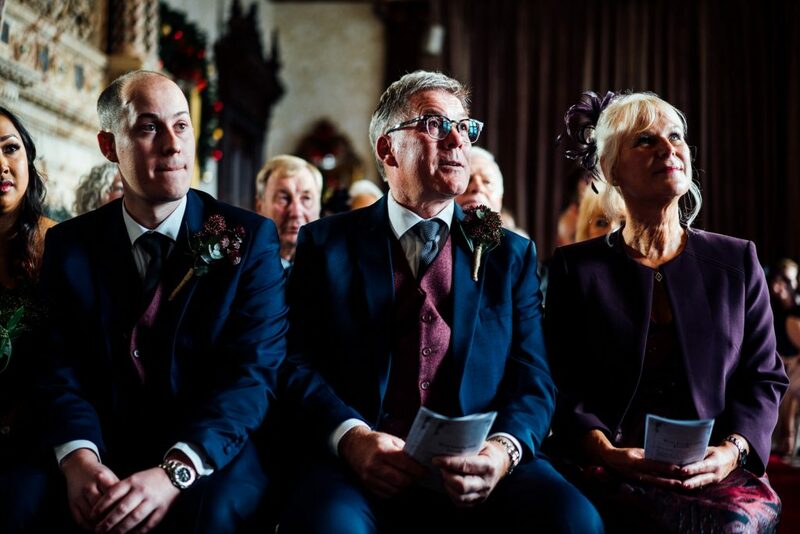 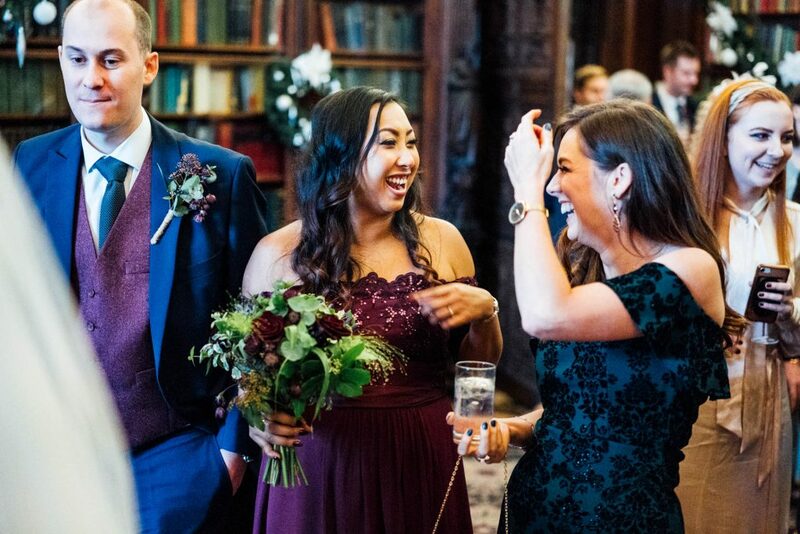 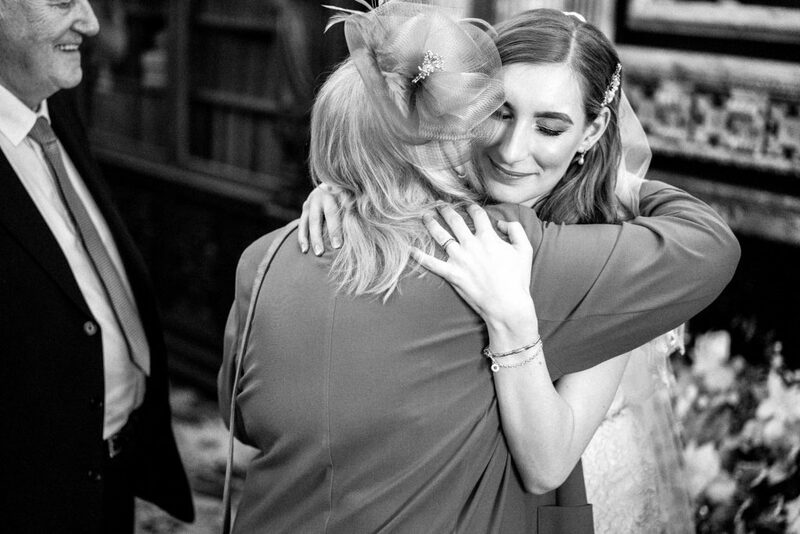 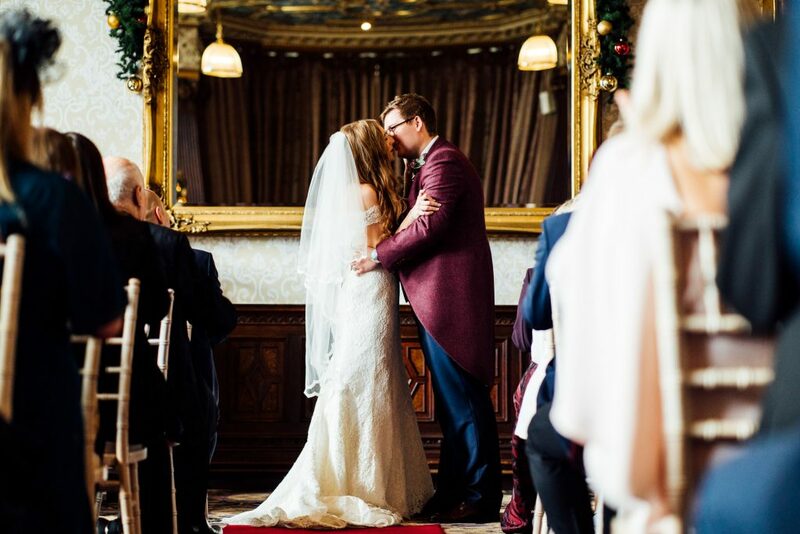 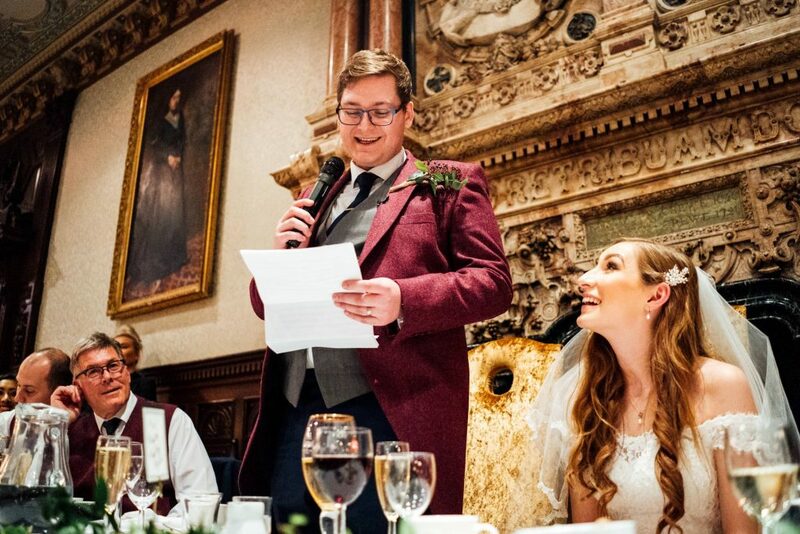 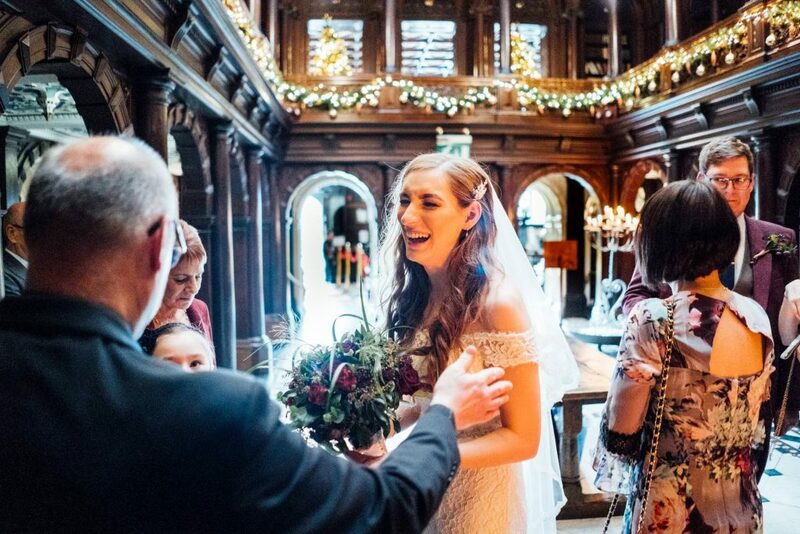 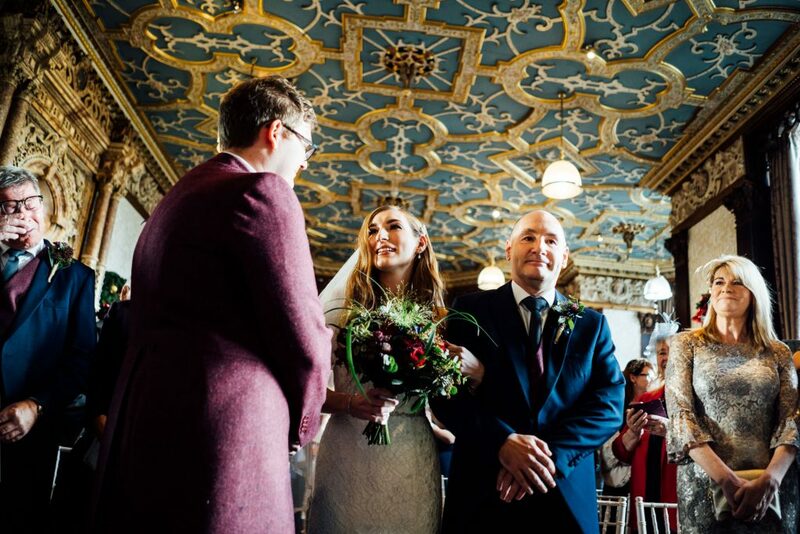 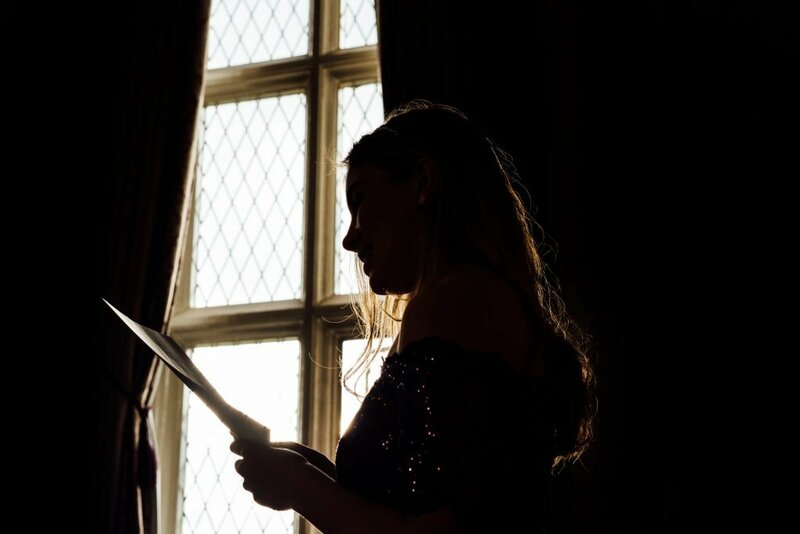 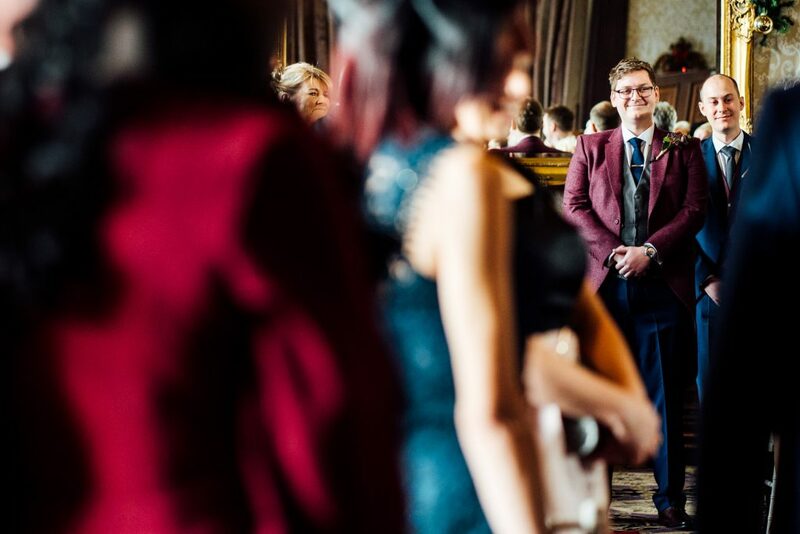 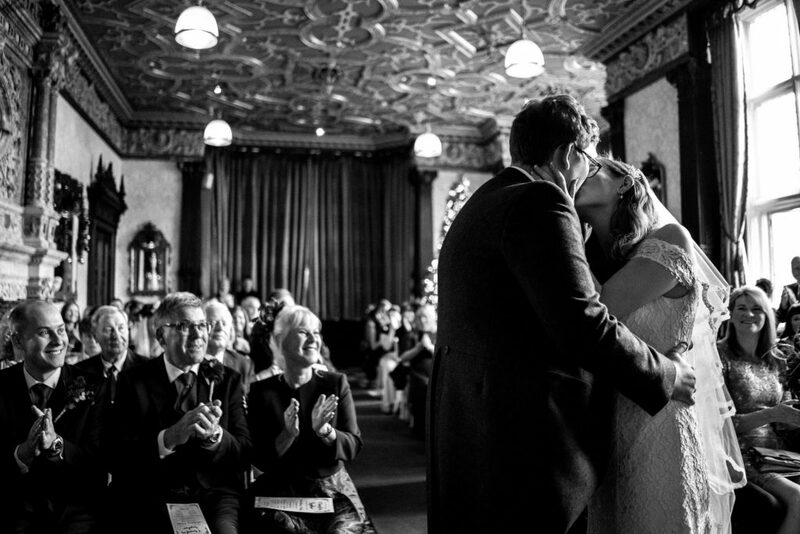 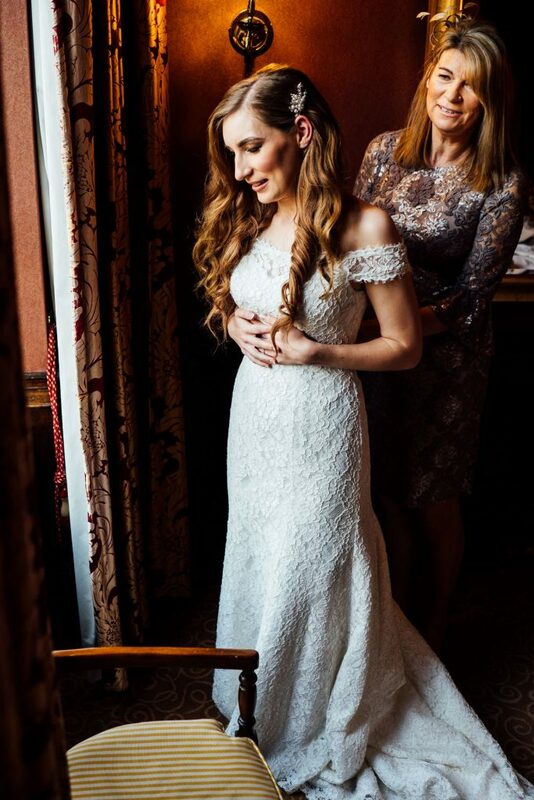 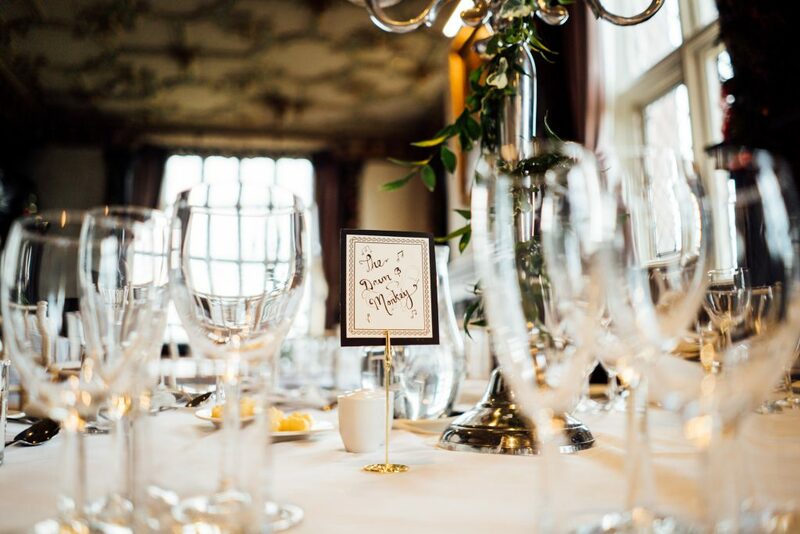 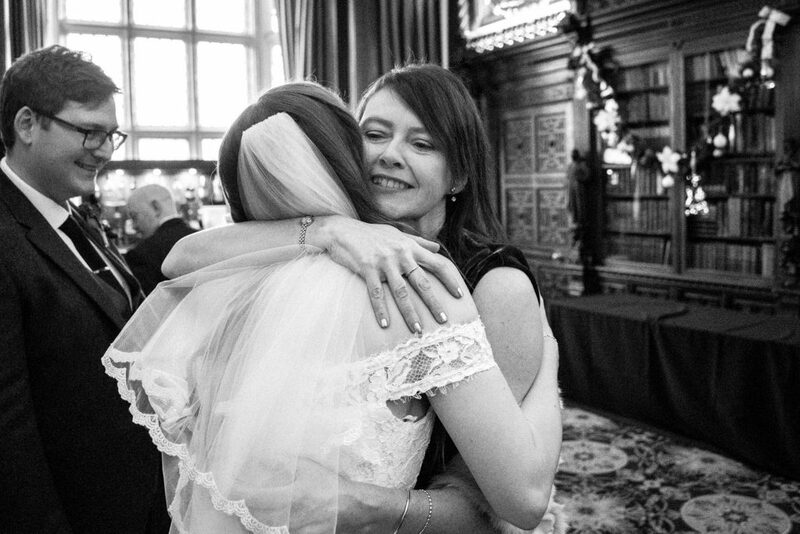 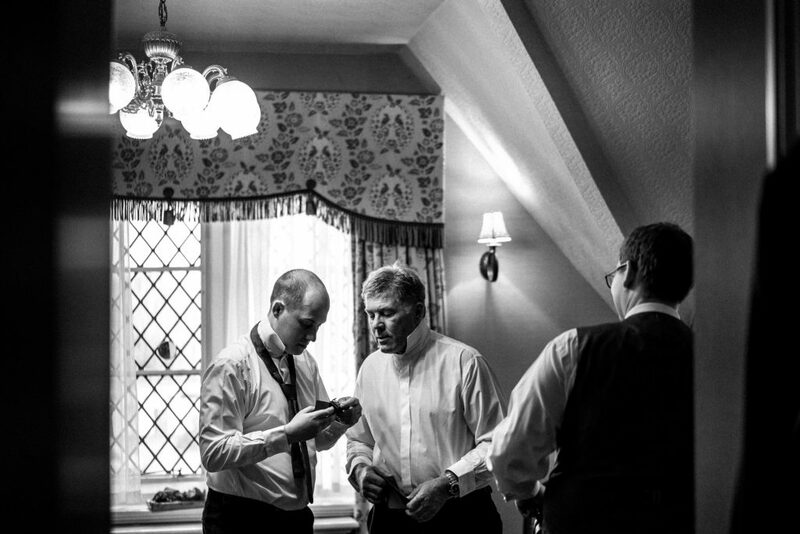 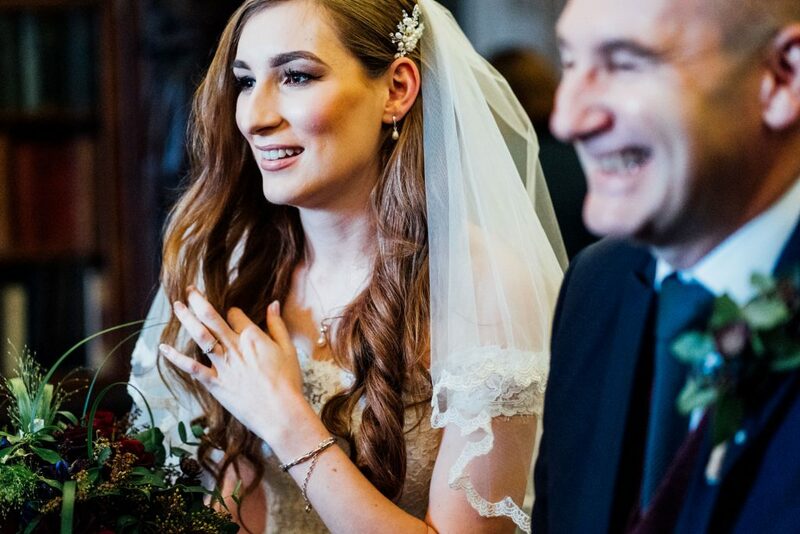 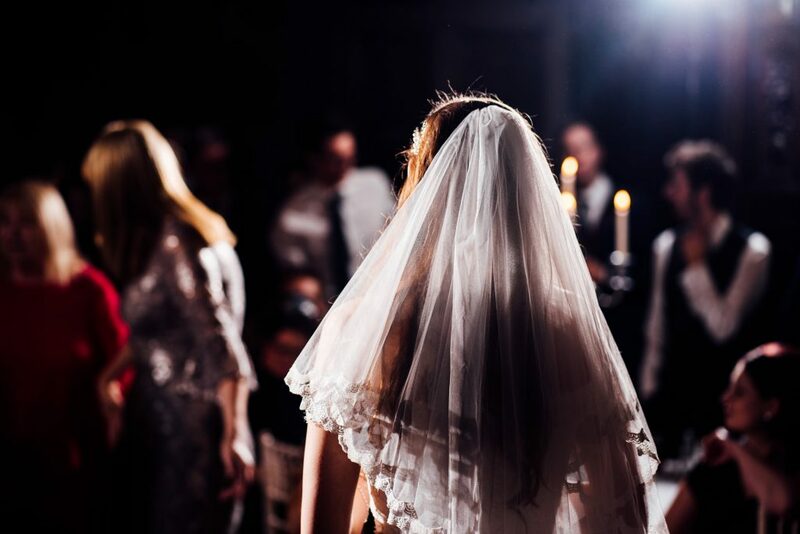 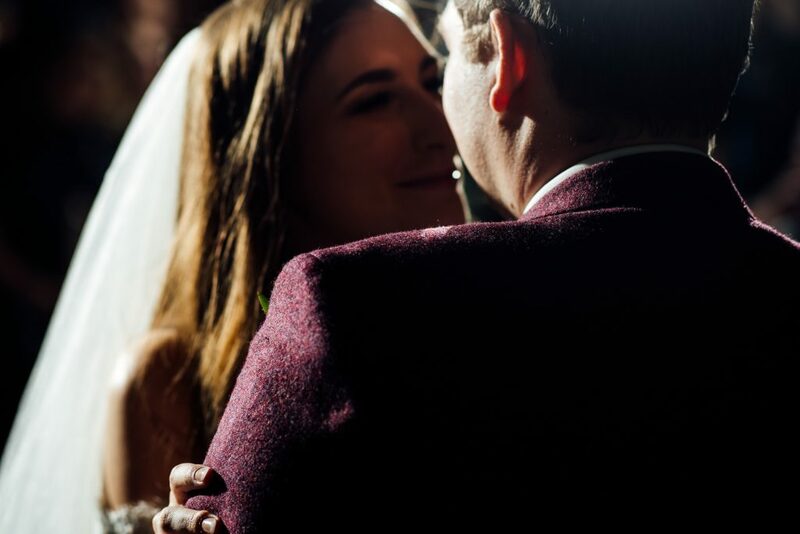 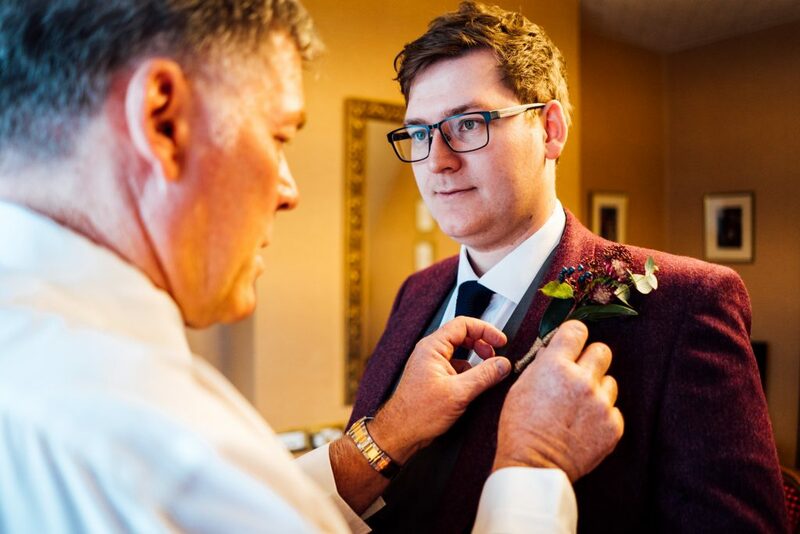 It was during Sophie’s dad’s speech in the long gallery at Crewe Hall that it really hit us what it is about winter weddings that we really love. 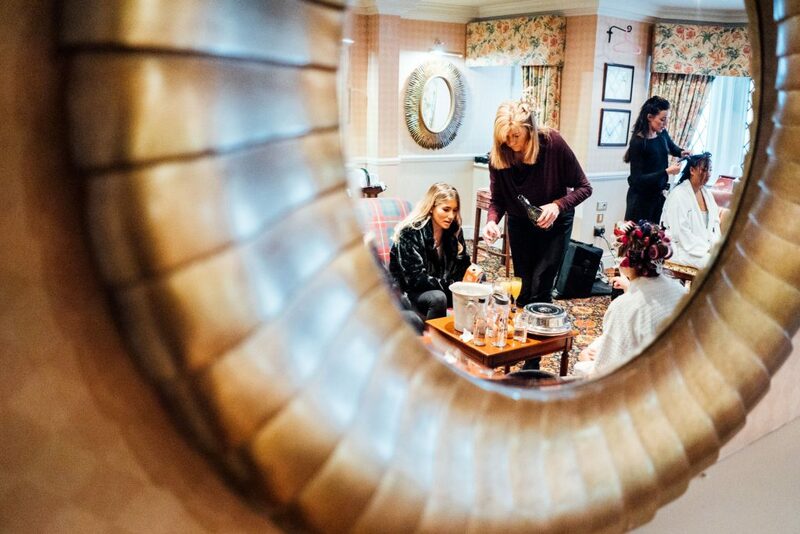 There’s something about Christmas time that really invites family to get together. 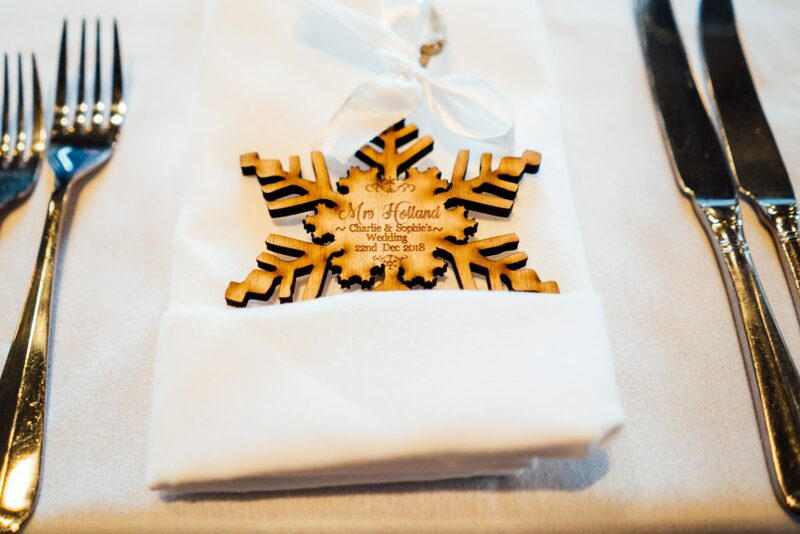 To share traditions, and spend some quality time together. 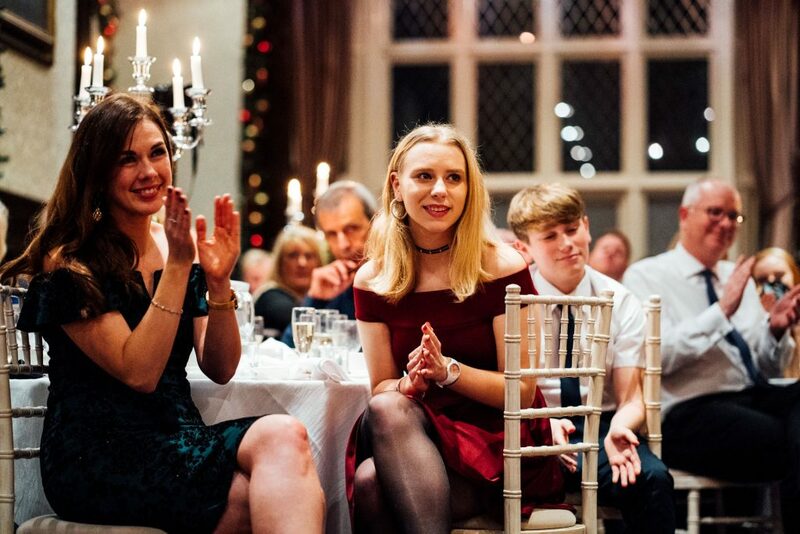 Sophie’s Dad included a Christmas sing-along during his speech. 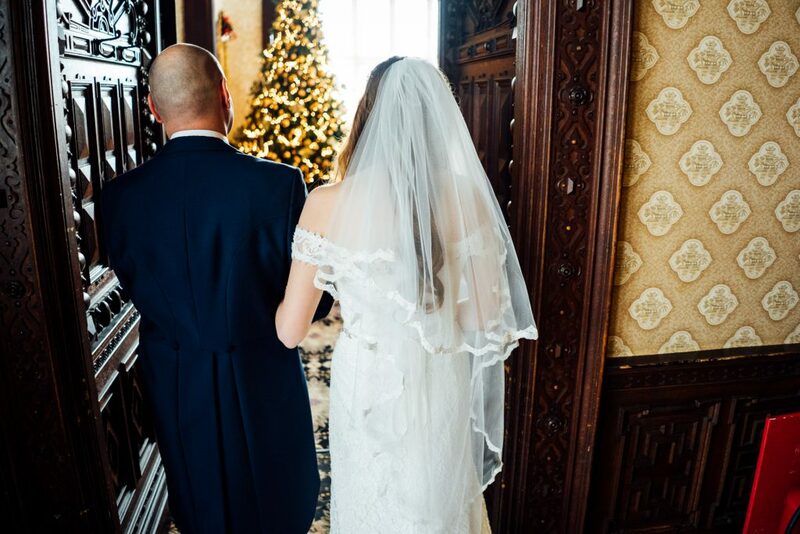 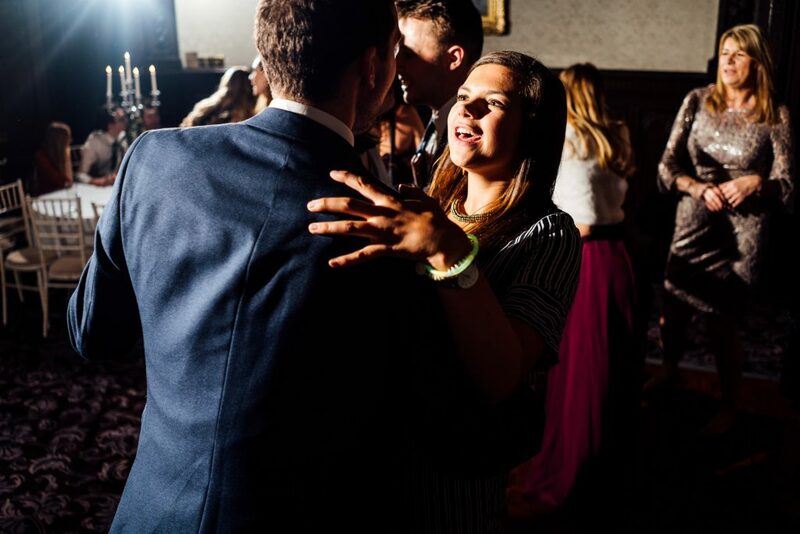 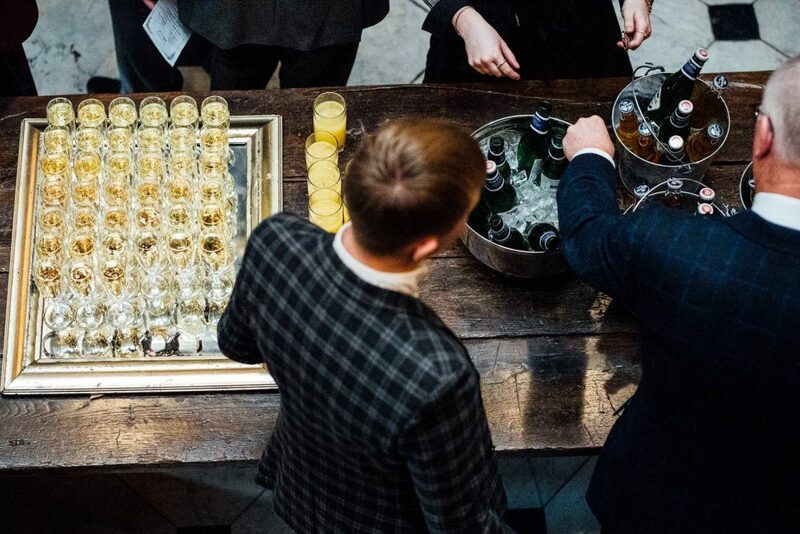 And it really set the mood off from what could easily be a formal affair in such a grand space, to something altogether more family-driven, relaxed, and fun. 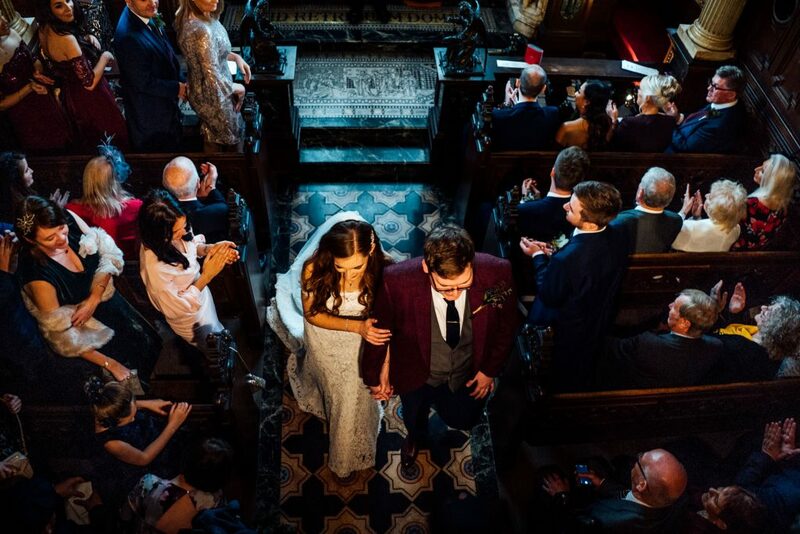 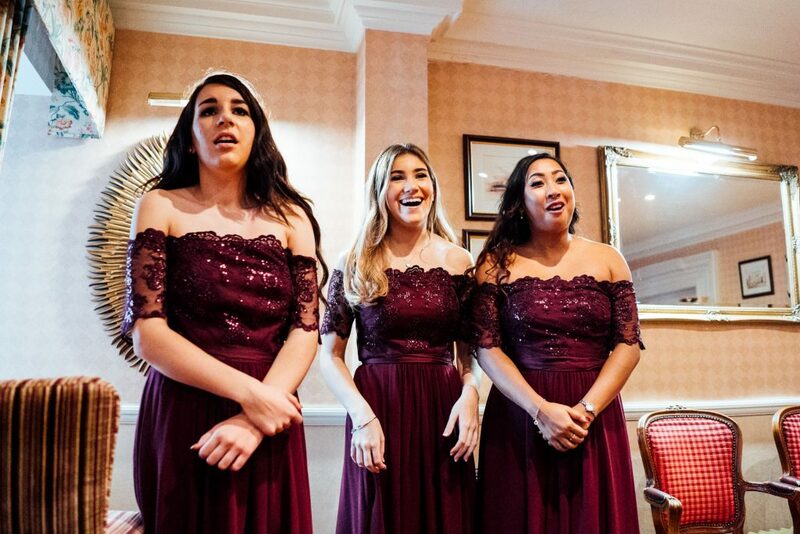 It was amazing to be a part of, and we loved every minute of their day. 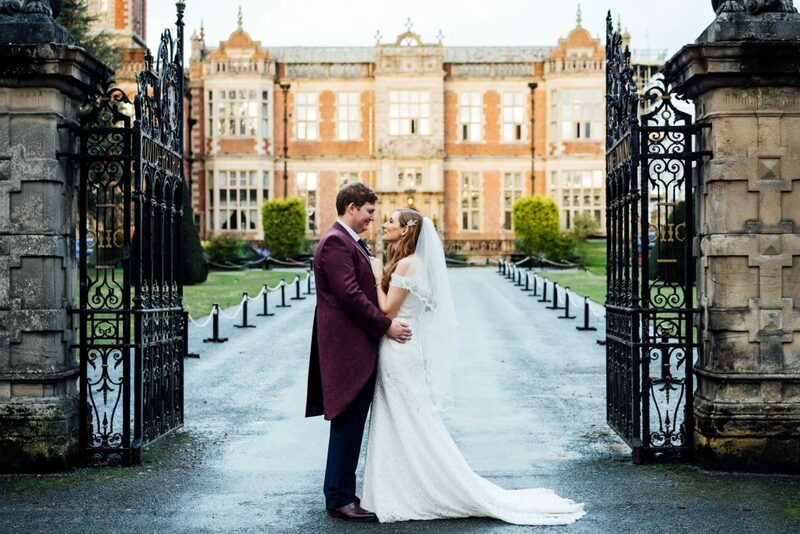 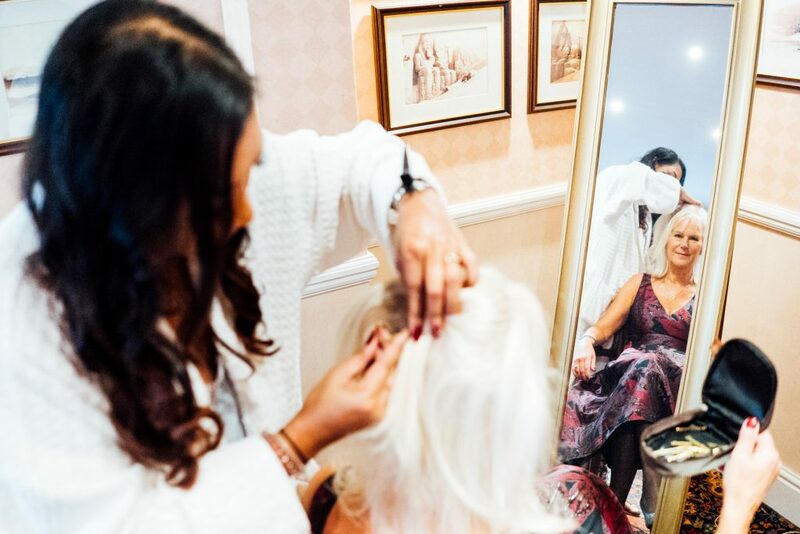 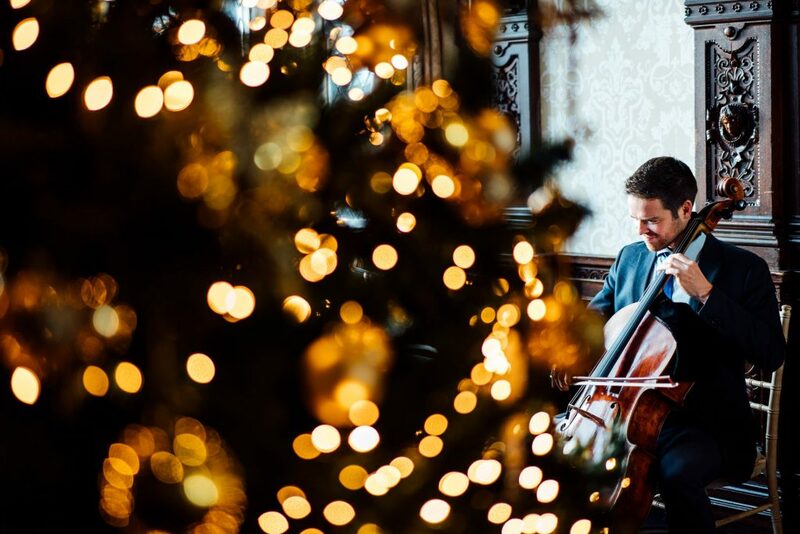 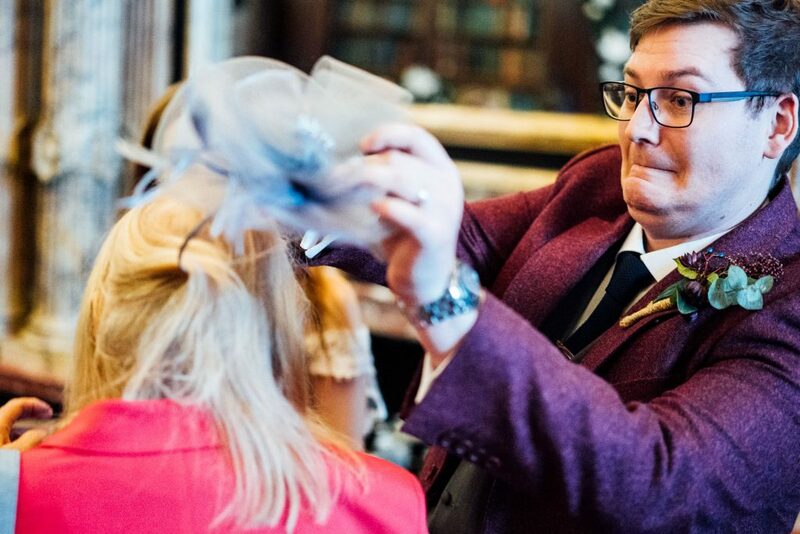 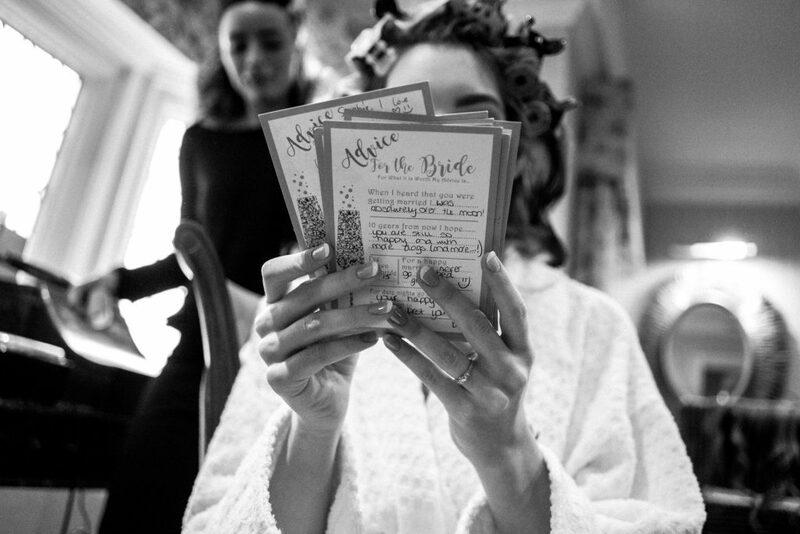 Rewind to the morning, and we found ourselves in the midst of preparations at the wonderful Crewe Hall, set in the Cheshire countryside. 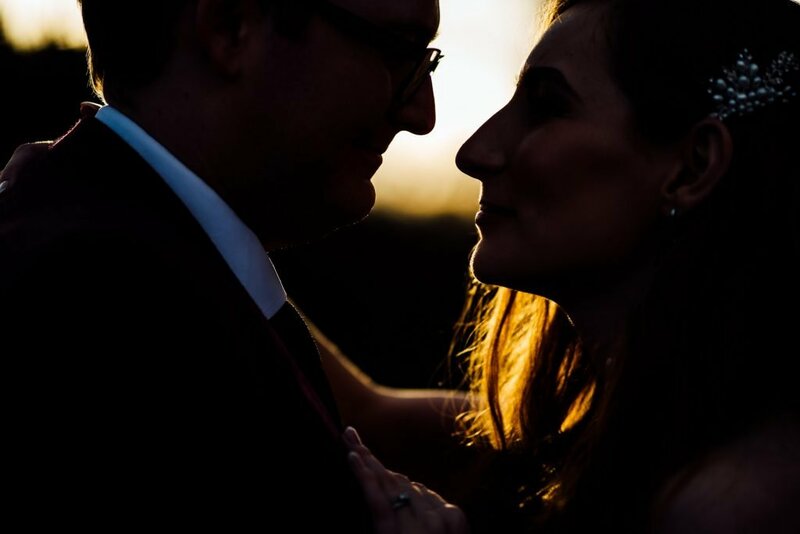 It’s an estate on the large side of grand. 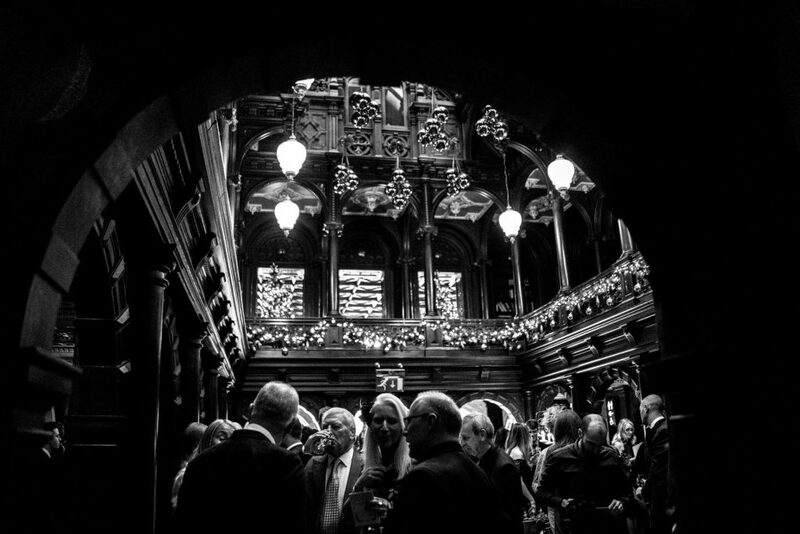 We never tire of the awe-inspiring interior, rebuilt a little over a hundred years ago after it was destroyed by fire. 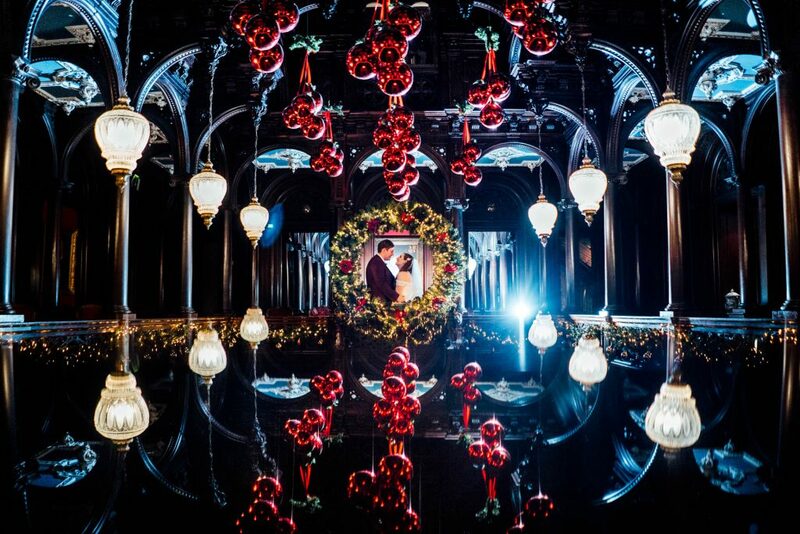 It’s one of the most spectacularly Christmassy-Feeling places we’ve ever been to at any time of year. 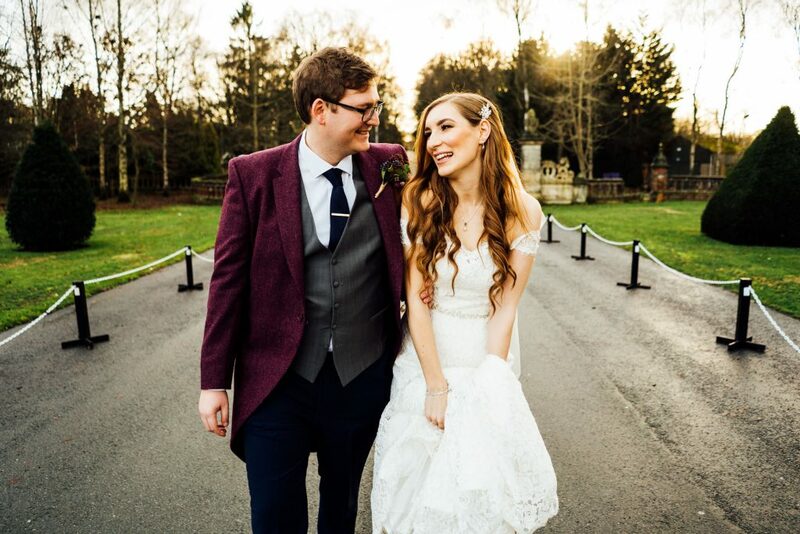 So, to be here on the 22nd of December really was perfect. 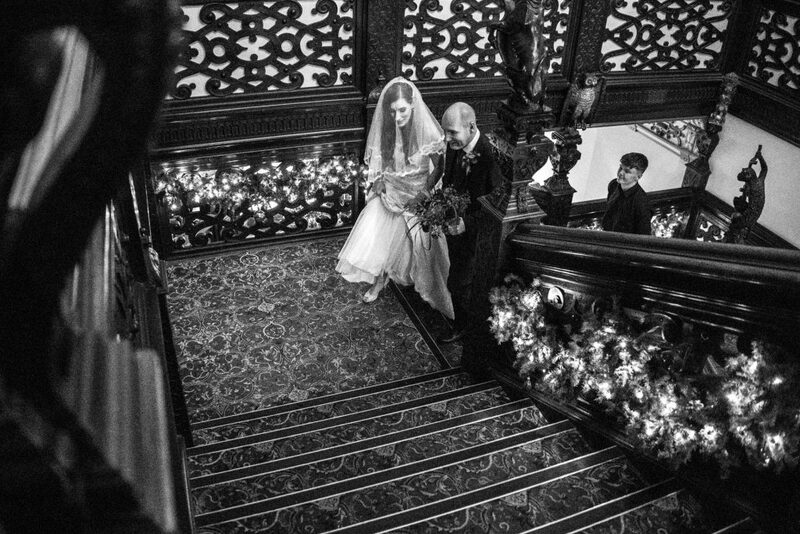 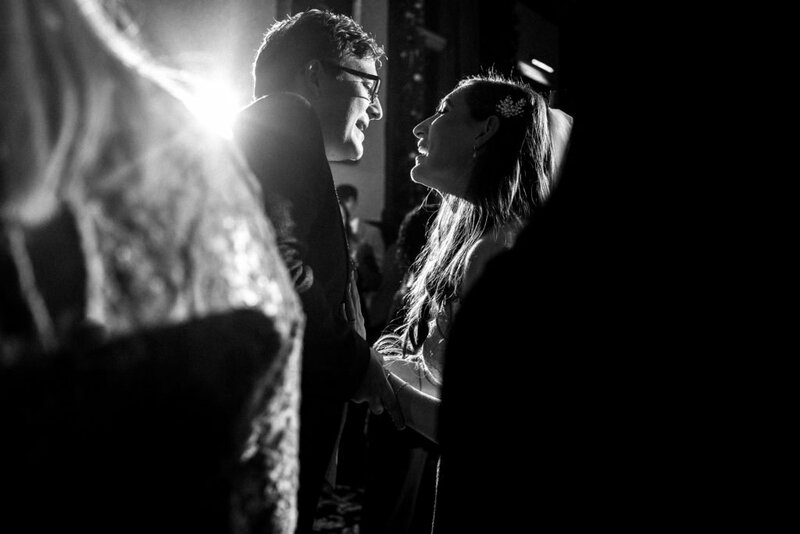 Sophie and Charlie had two wedding ceremonies. 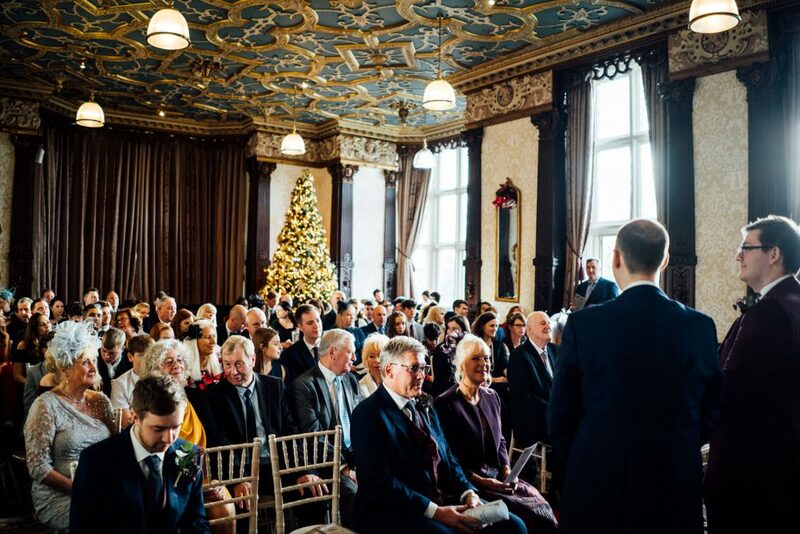 The first, civil ceremony with all their guests on the gallery level. 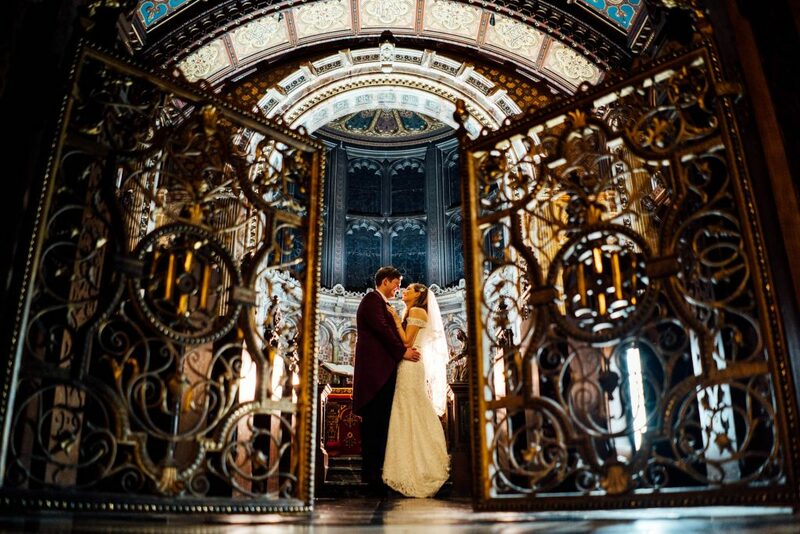 And the second, an intimate blessing in Crewe Hall’s own beautifully ornate chapel. 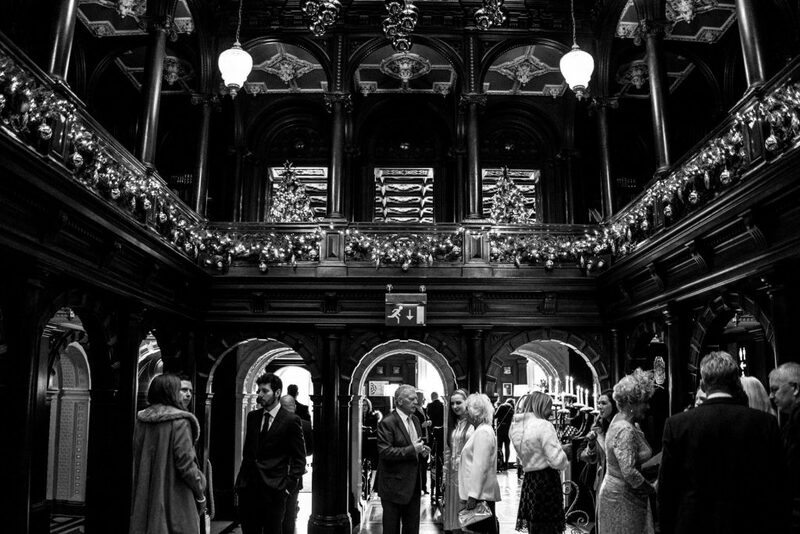 For the second ceremony, there’s a mezzanine level off of the main galleried landing. 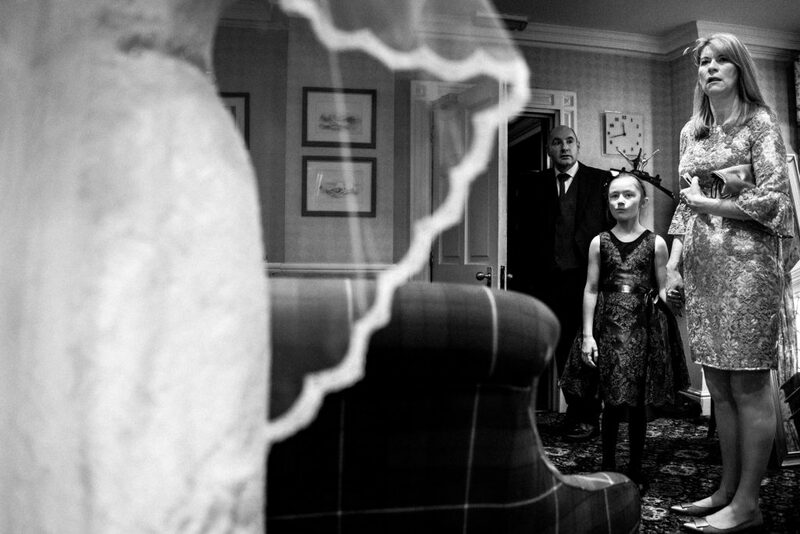 This was perfect for Katie to get a unique perspective on the goings on while I stayed at ground level. 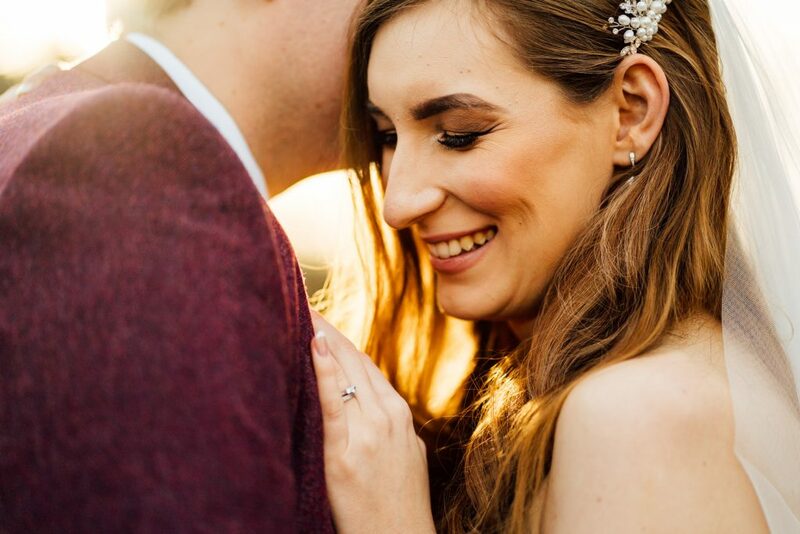 After drinks and canapés, we took Sophie & Charlie away for some alone time around the grounds and to make some portraits with them. 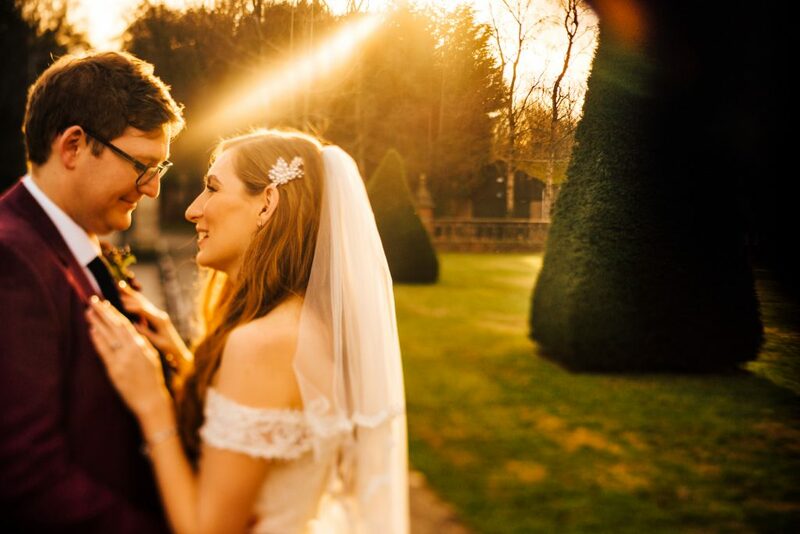 The sun even briefly showed it’s face from behind the clouds! 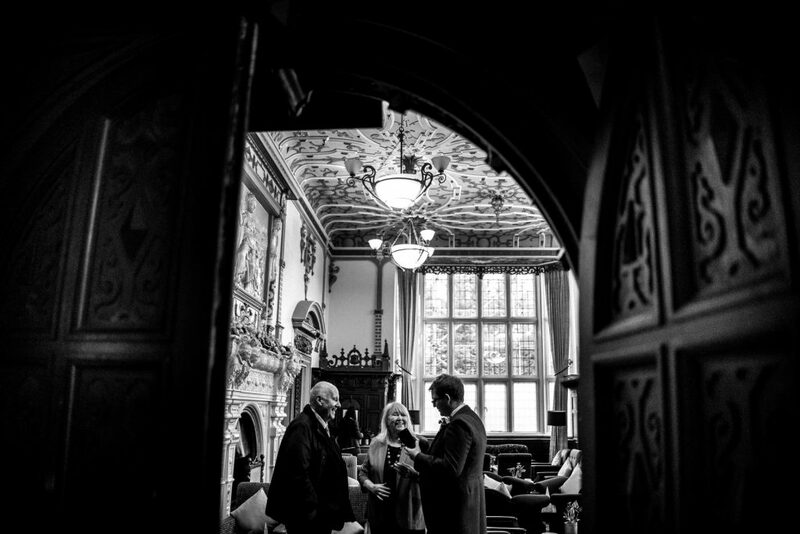 We then headed back to enjoy the surroundings. 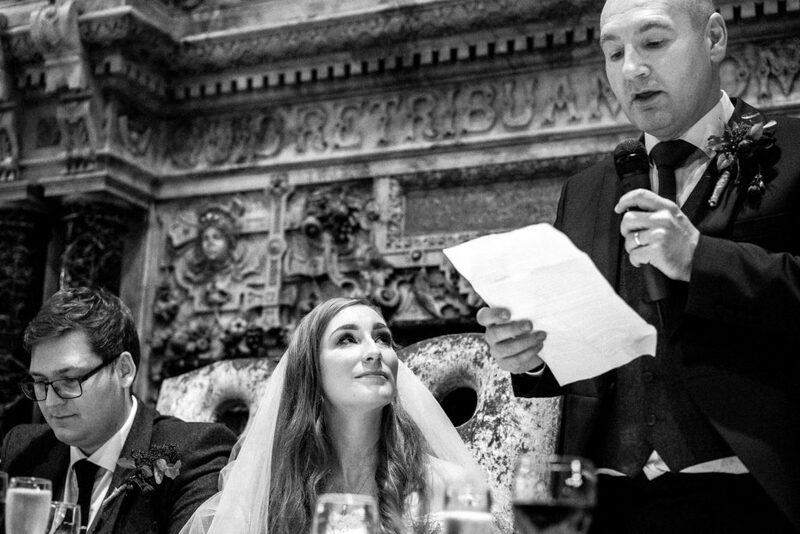 The wedding breakfast and speeches followed, and then it was time for the evening party. 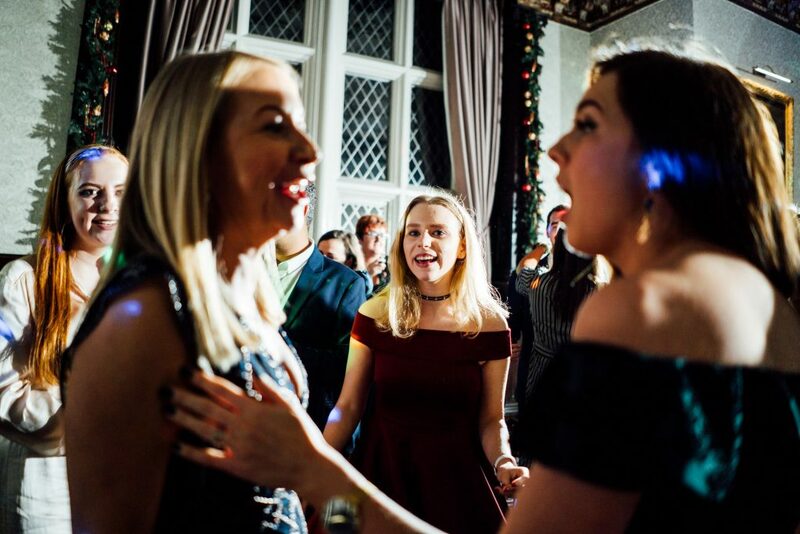 Sophie and the girls surprised Charlie with a wonderfully choreographed performance to Abba. 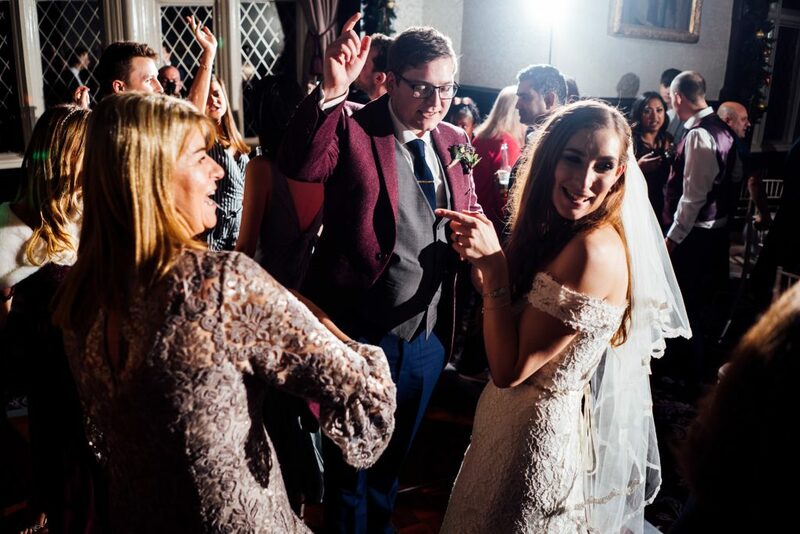 It really set off the party mood. 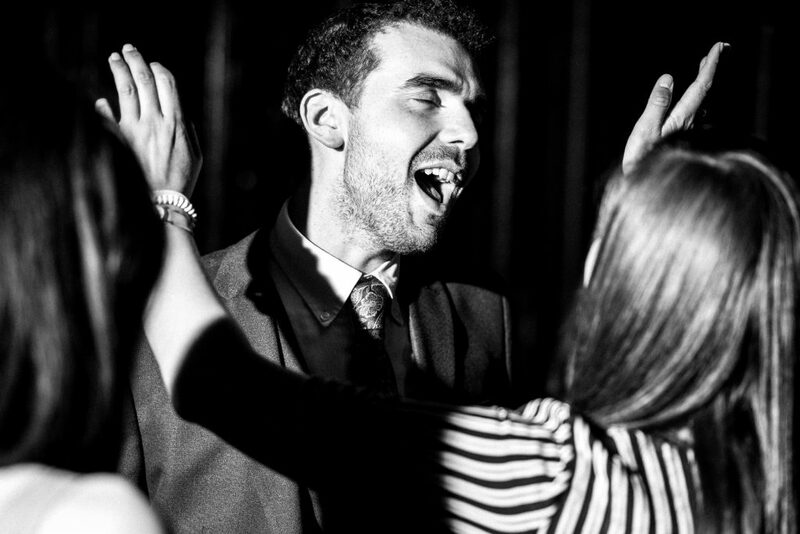 We followed the dancing action into the night, before saying goodnight to this most perfect of winter days. 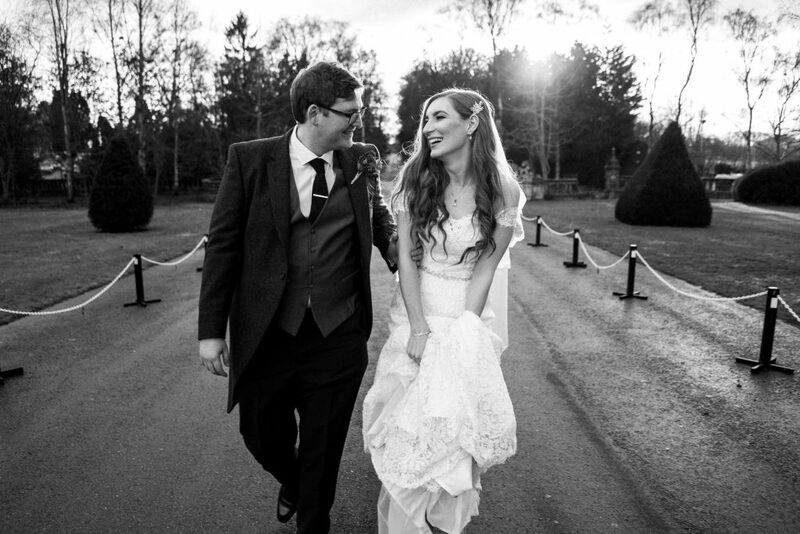 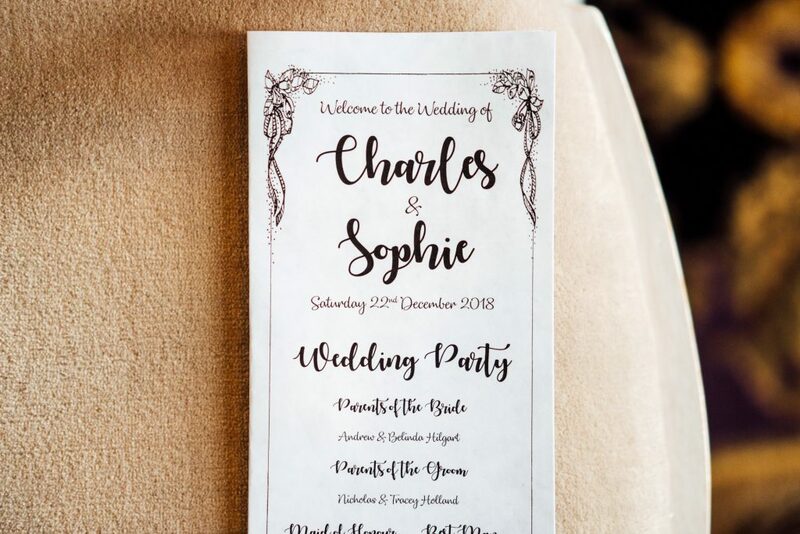 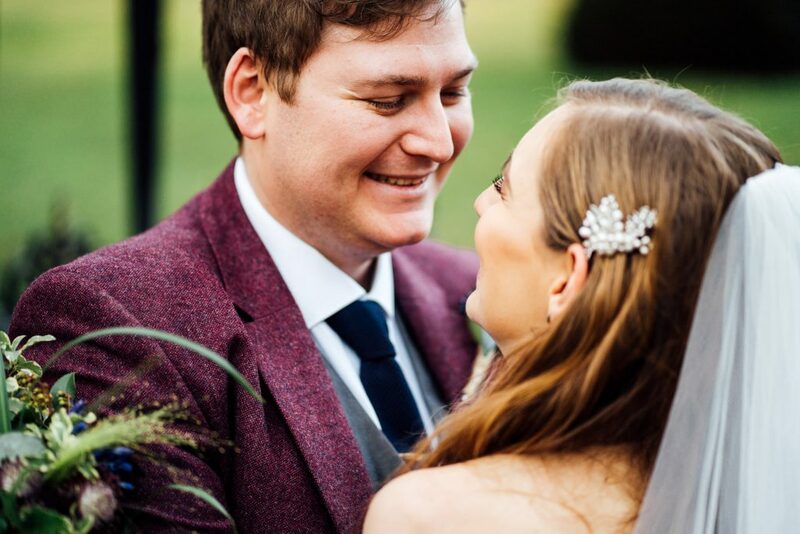 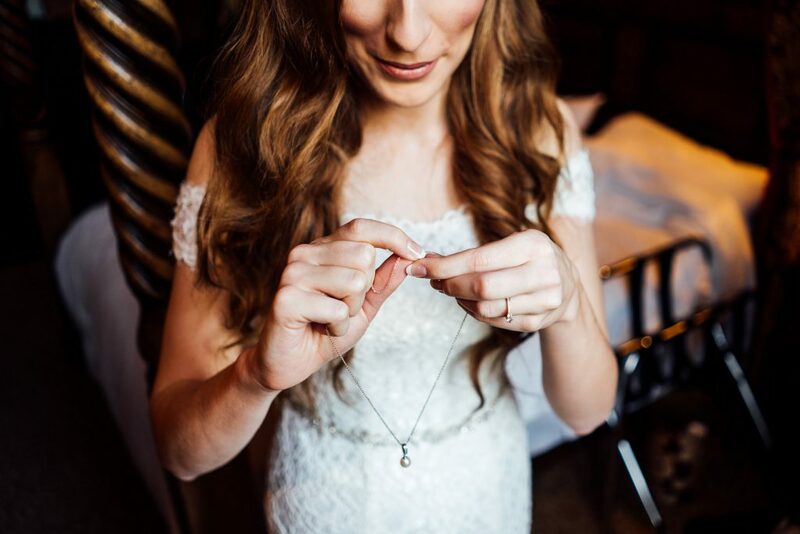 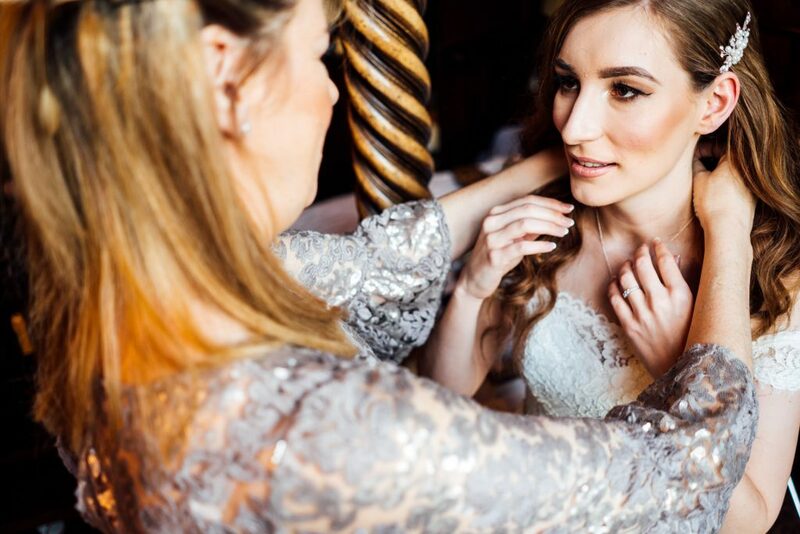 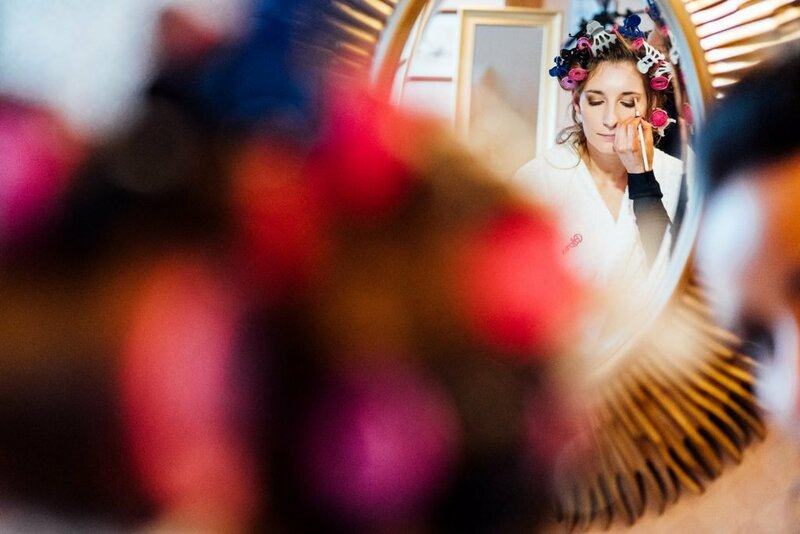 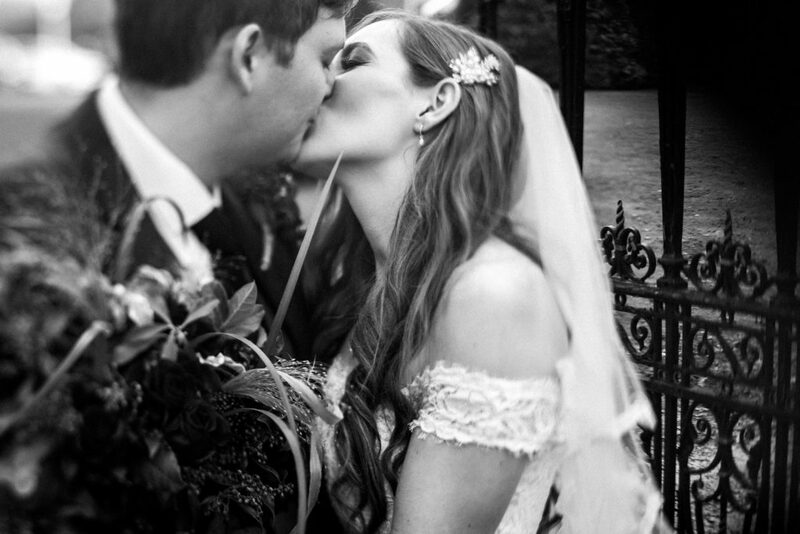 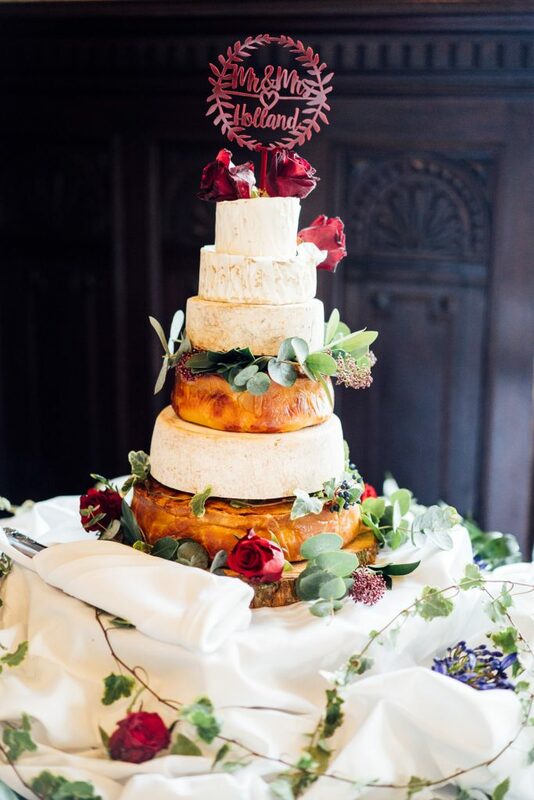 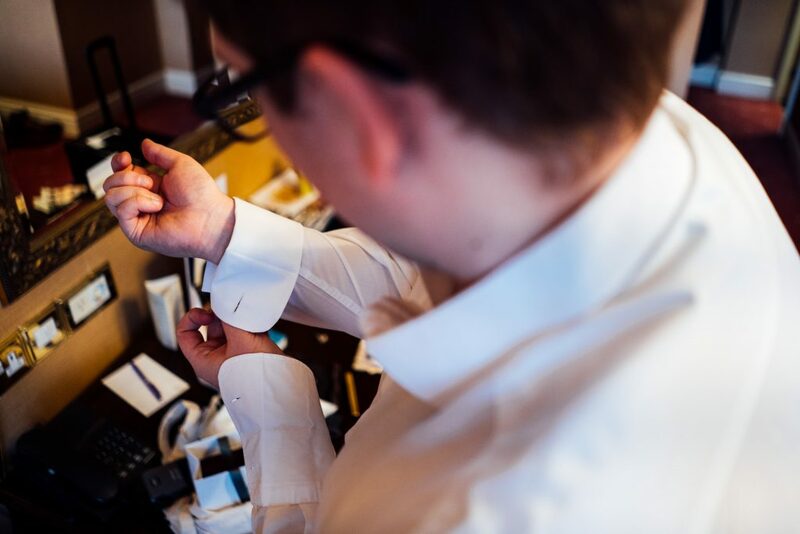 We asked Sophie & Charlie to share some of their wedding process, planning and tips. 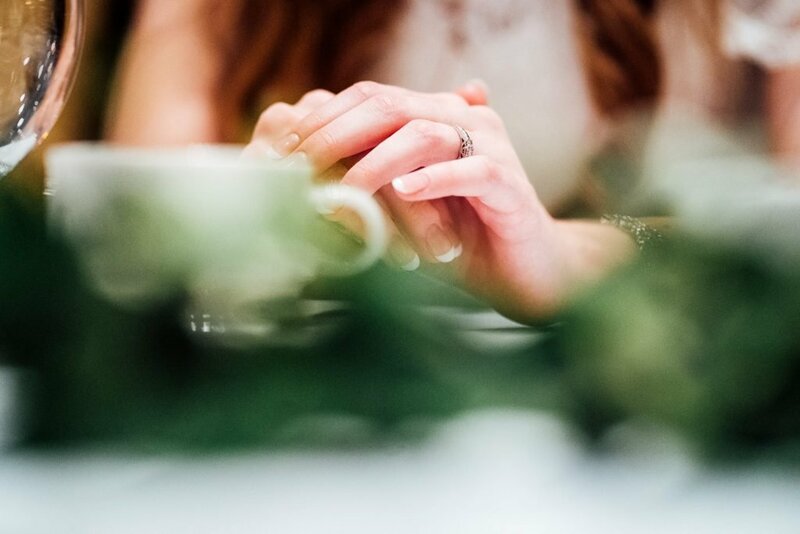 If you’re currently planning your own wedding and looking for wedding planning inspiration, look no further! 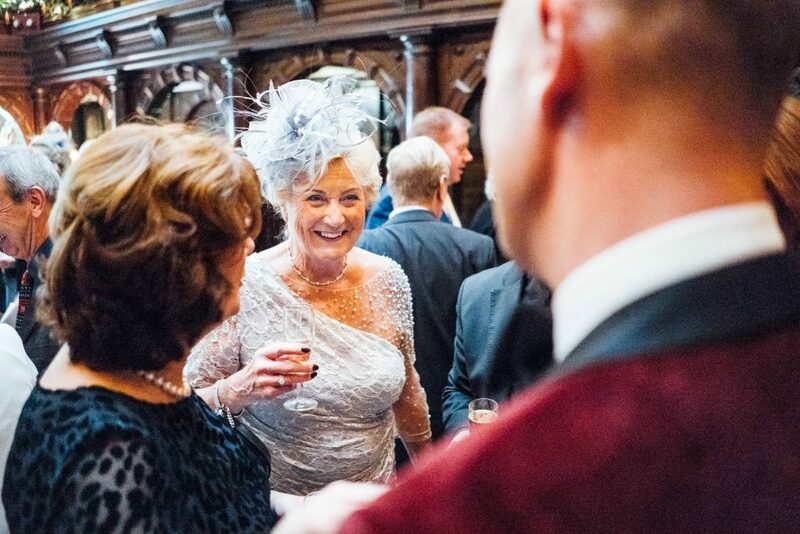 ‘Living in the North West of England has taught us to always prepare for terrible weather. 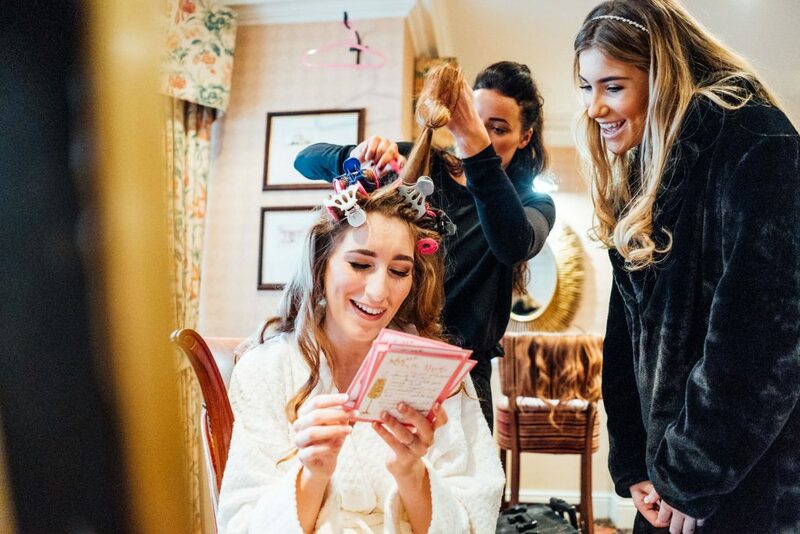 Especially when you least expect it. 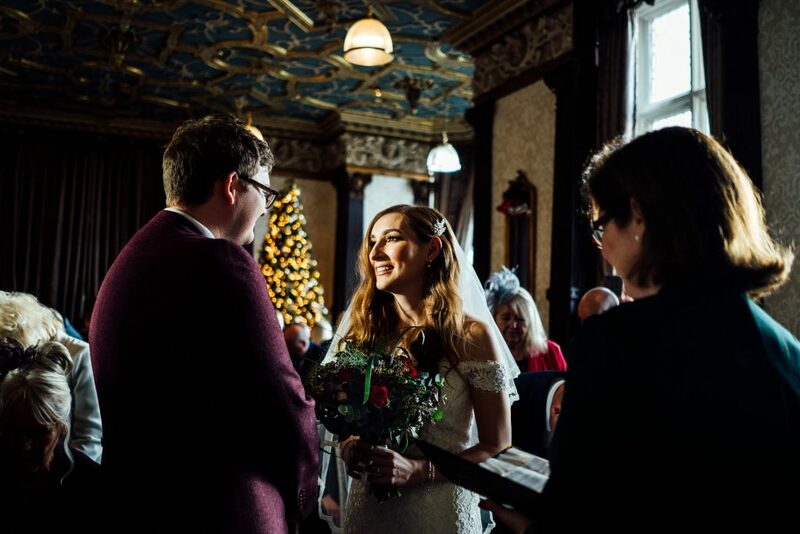 And so we decided to commit to an indoor winter wedding in a beautiful venue. 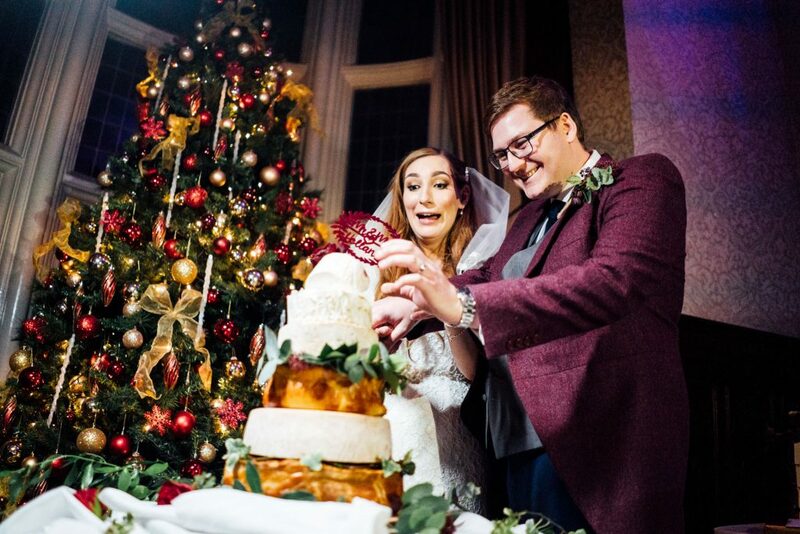 What better time than just before Christmas. 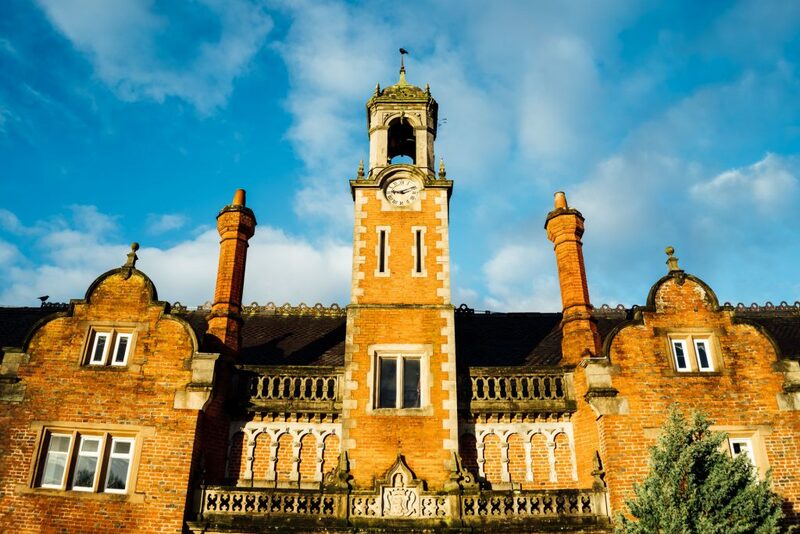 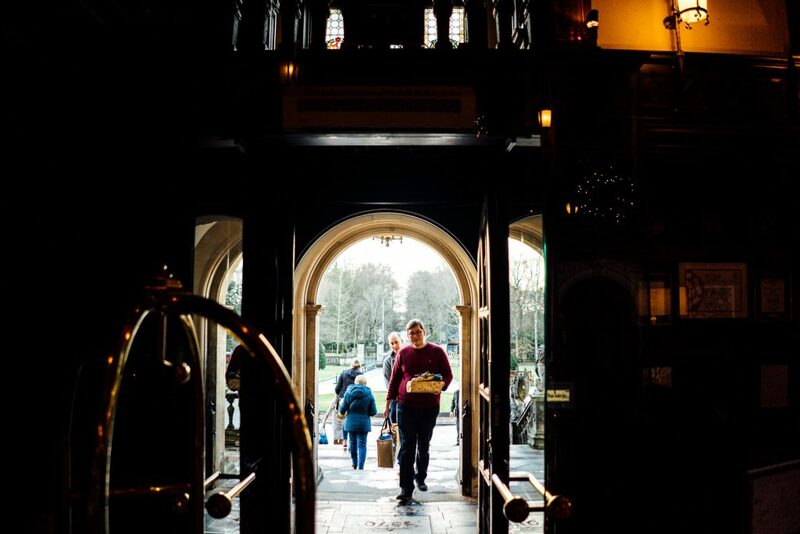 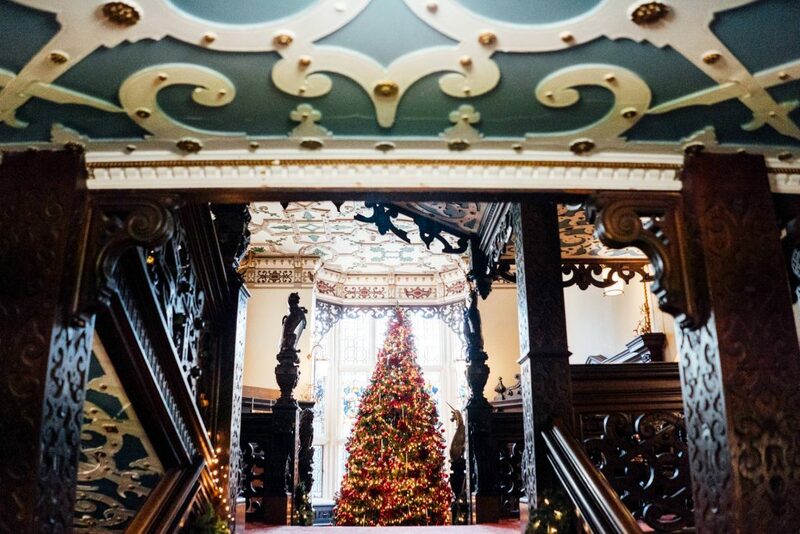 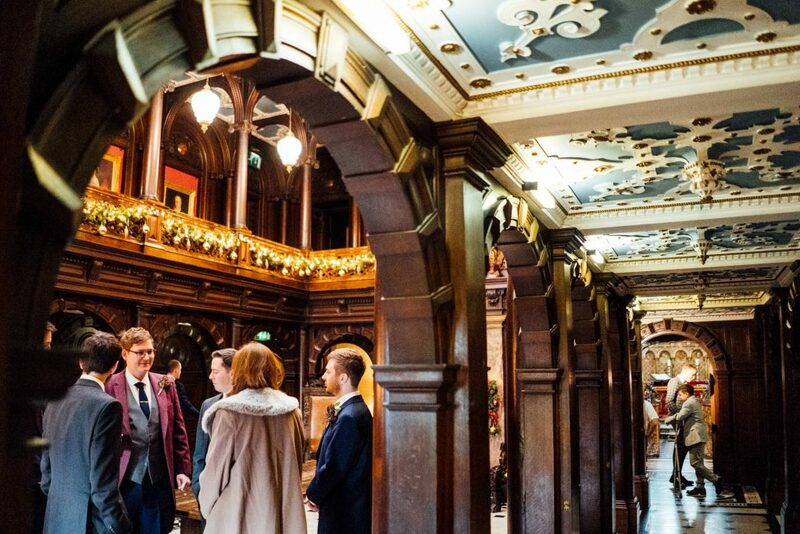 I visited Crewe Hall with family for a Spa weekend and instantly fell in love with the elaborate decorations, roaring fires and beautifully-intimate chapel. 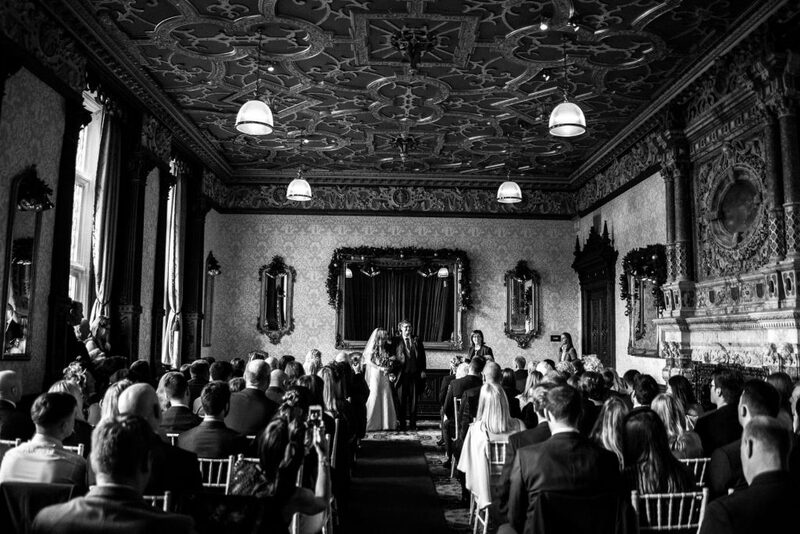 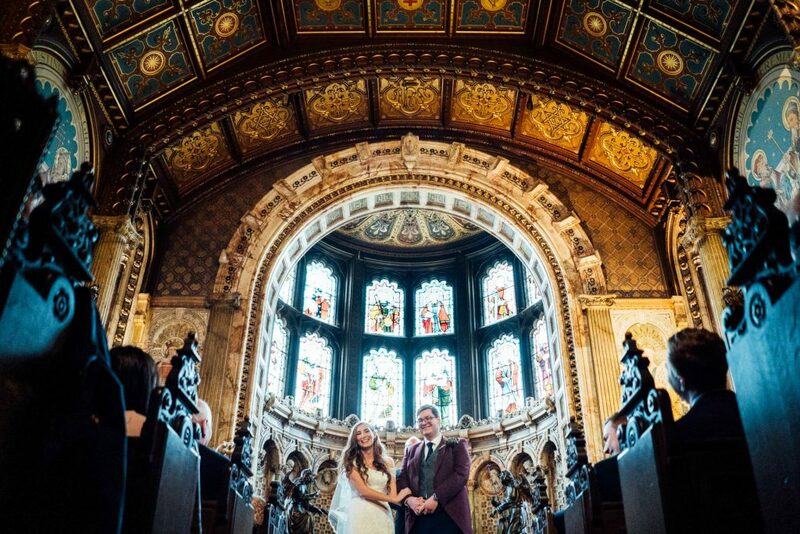 After looking at lots of other venues I finally convinced Charlie to look at Crewe Hall. 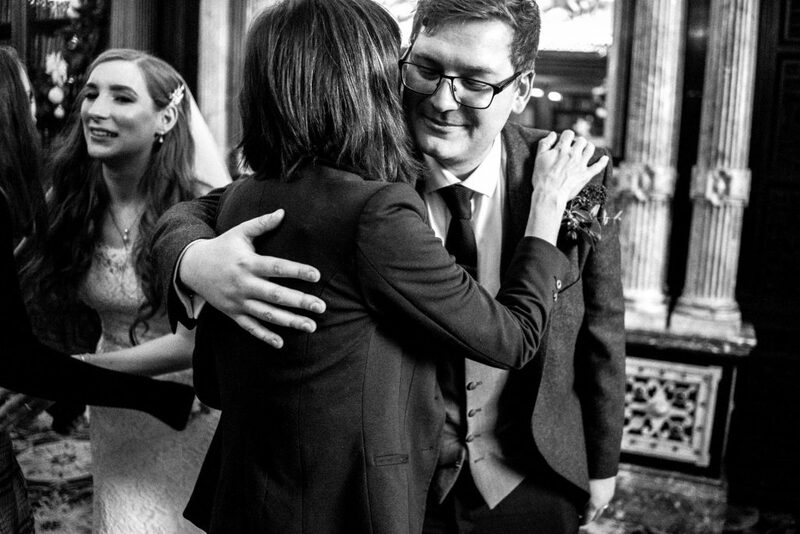 He instantly agreed this would be where we were to get married!